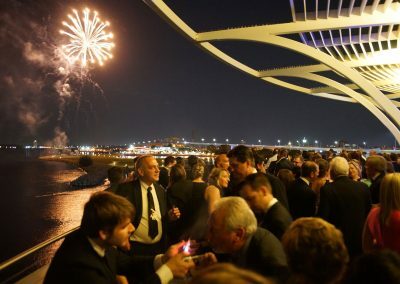 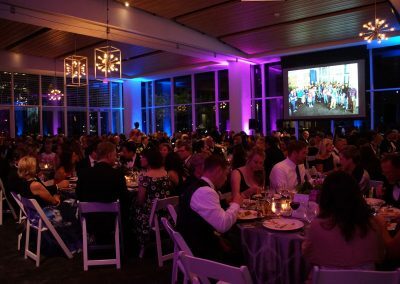 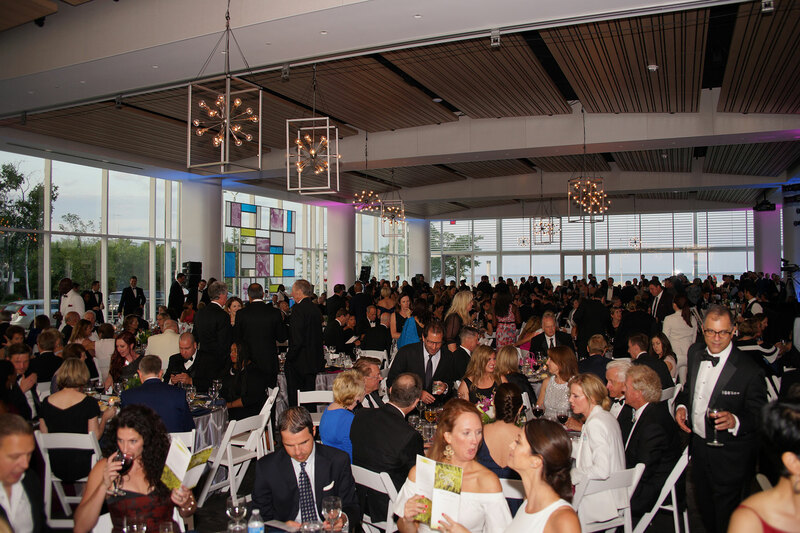 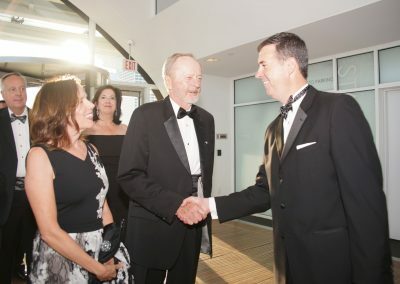 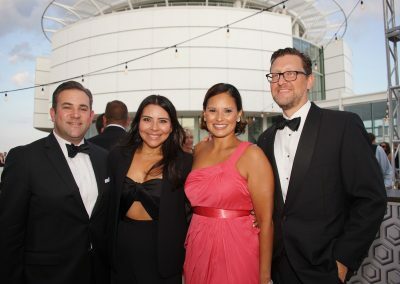 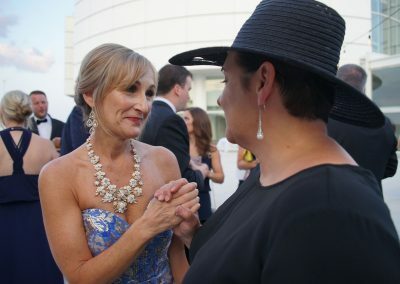 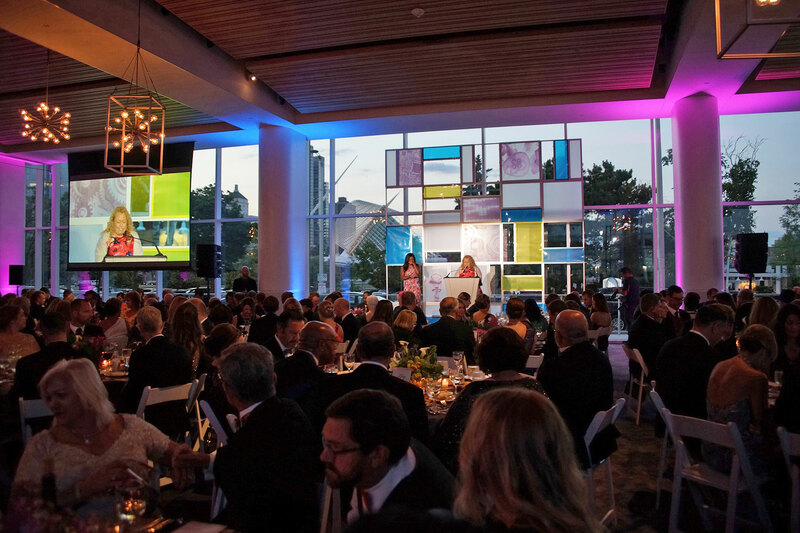 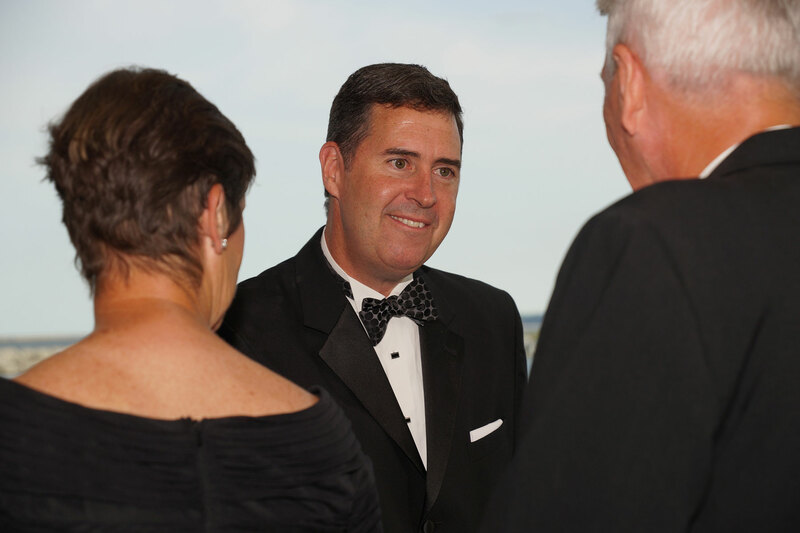 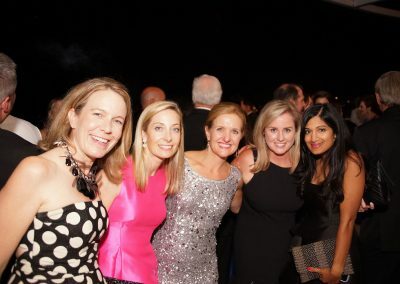 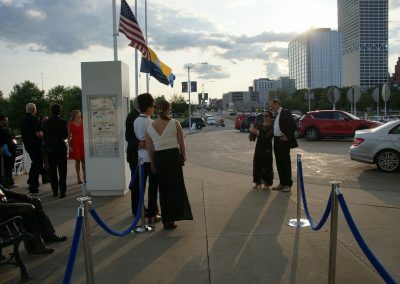 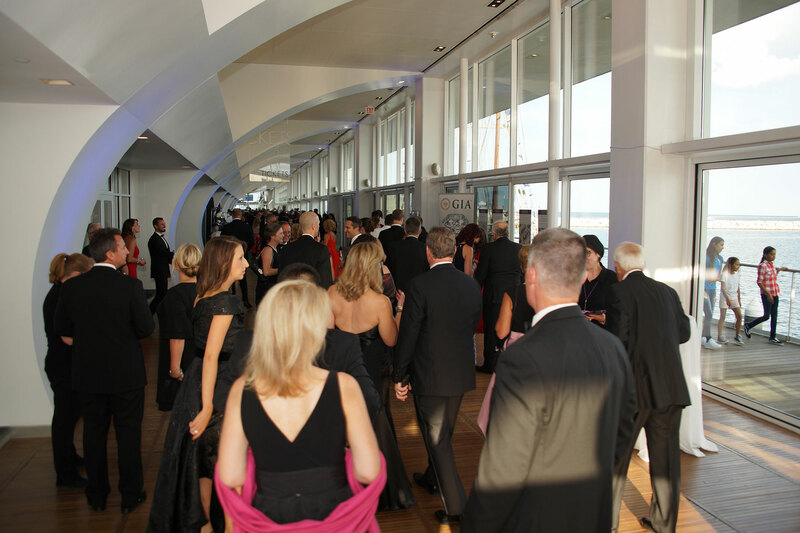 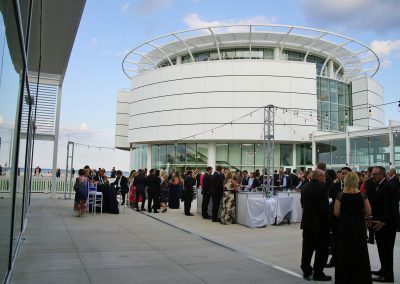 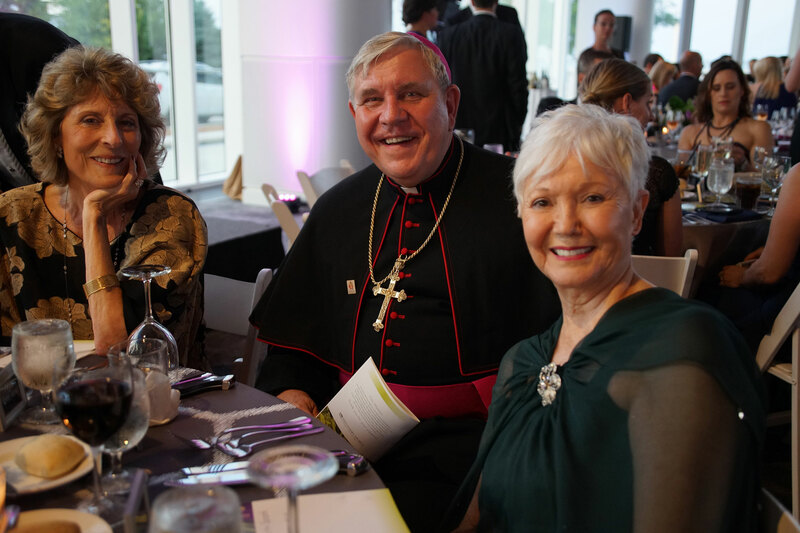 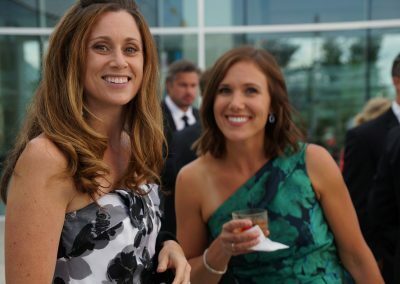 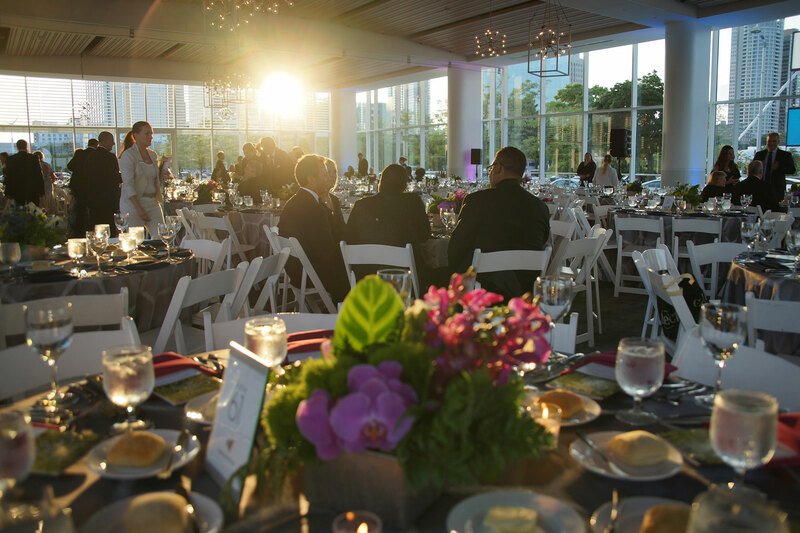 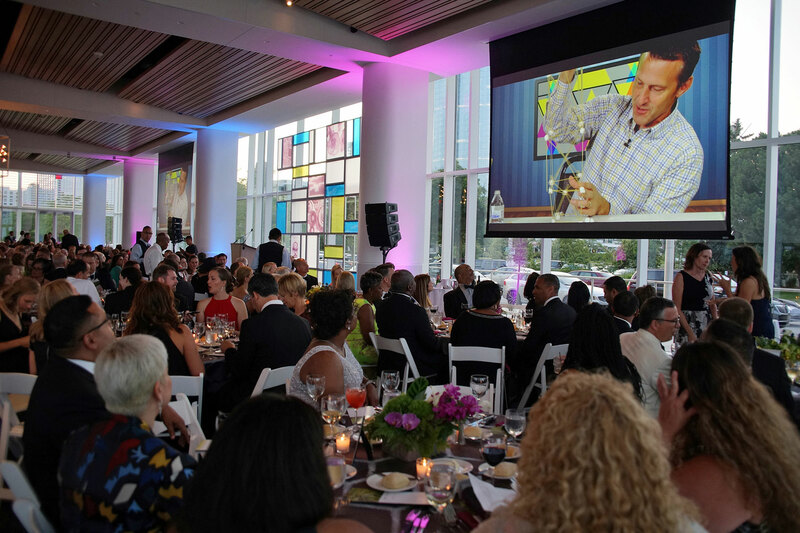 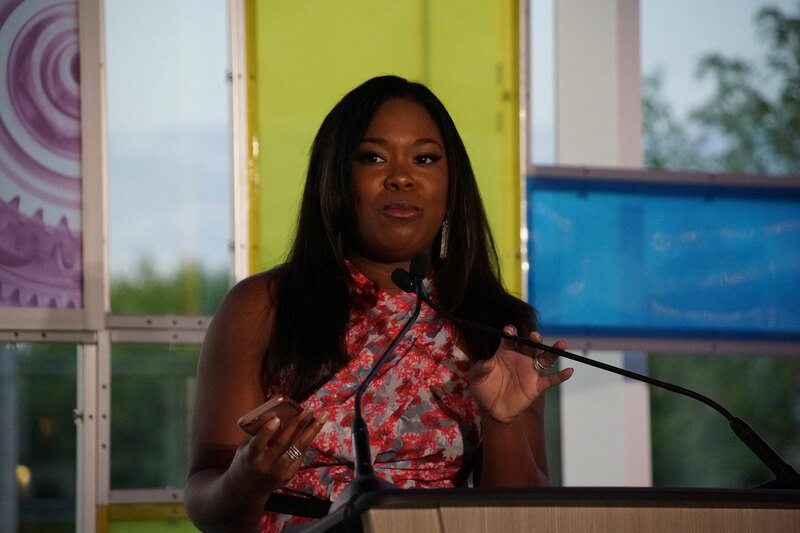 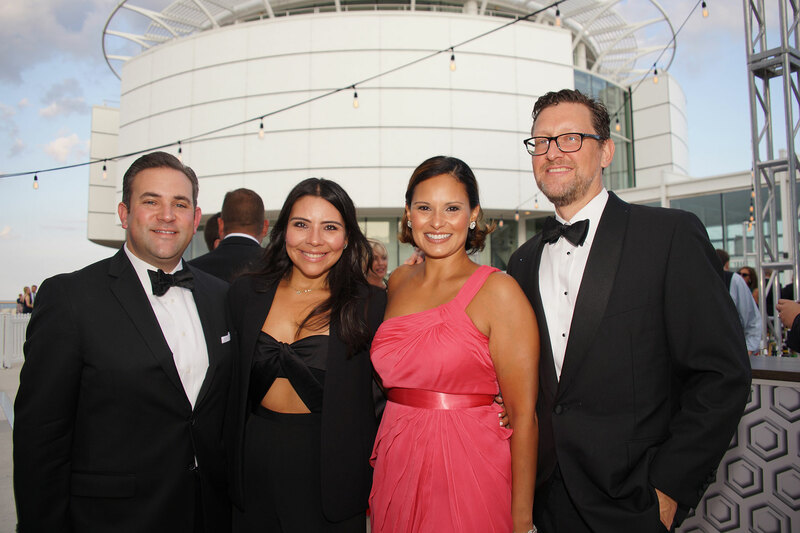 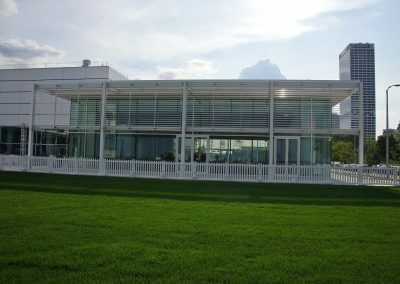 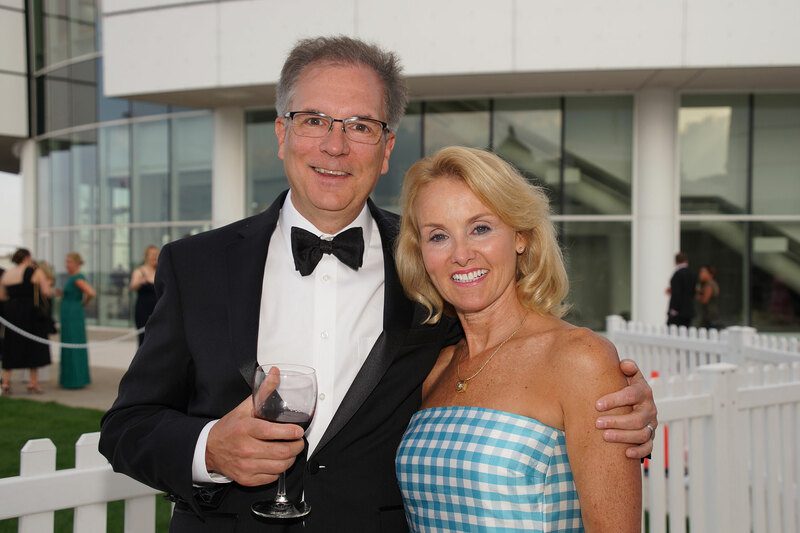 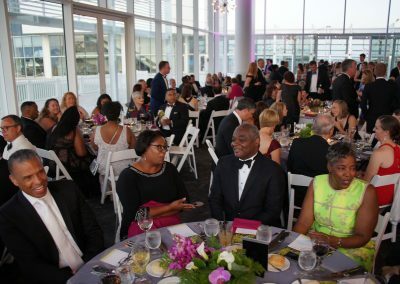 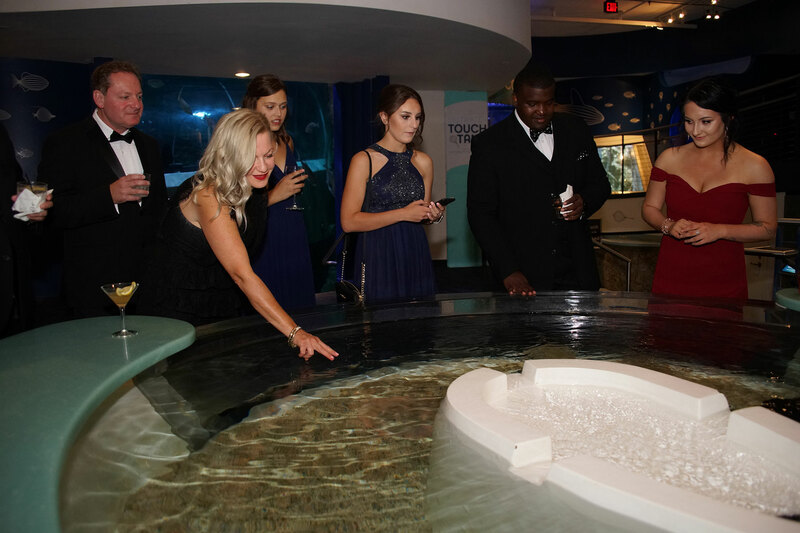 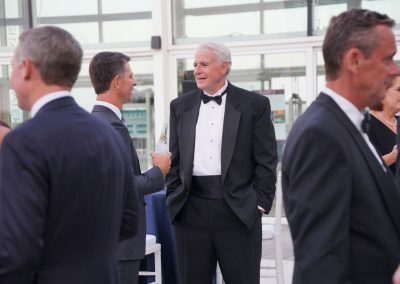 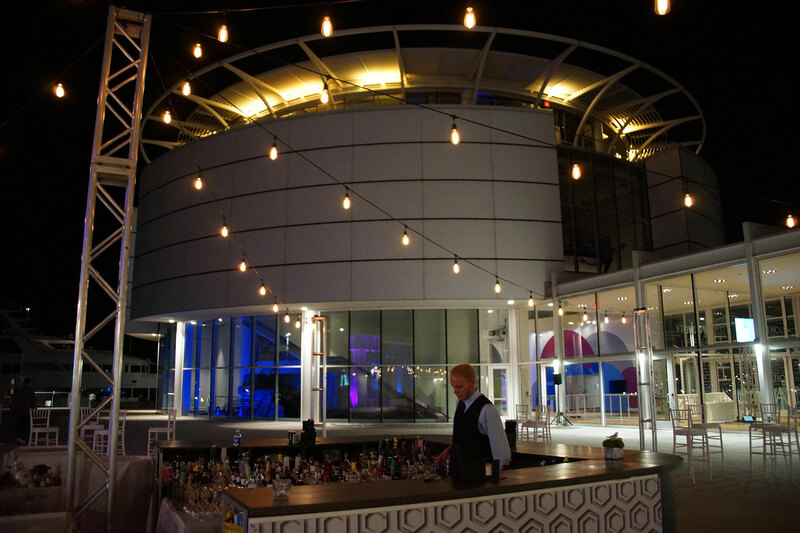 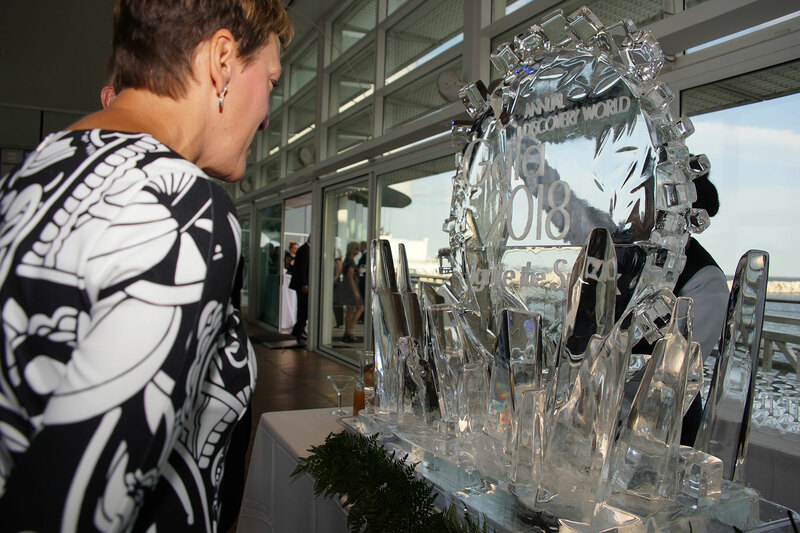 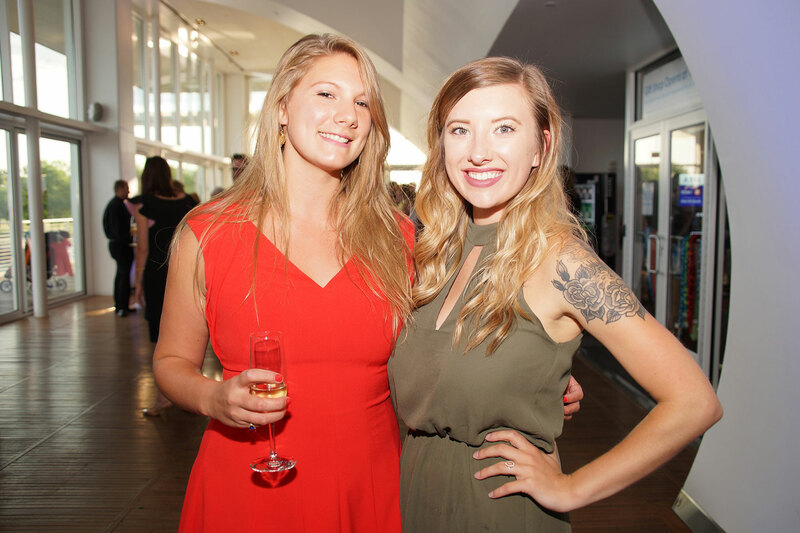 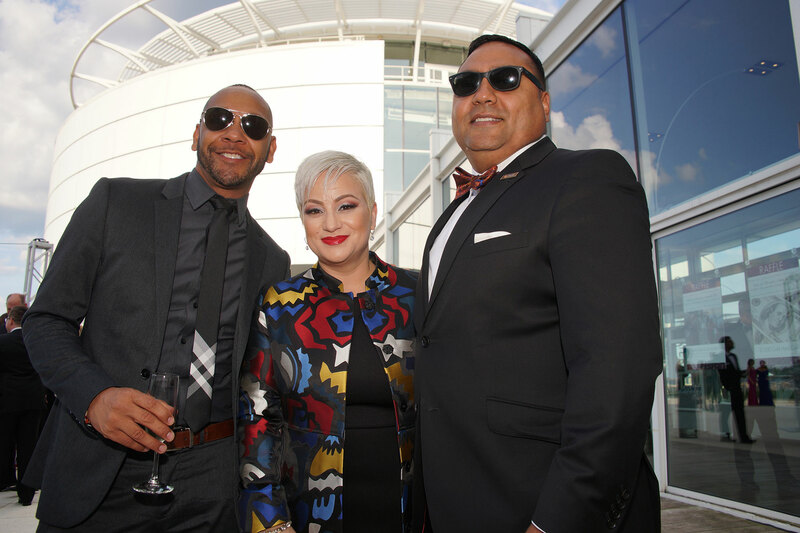 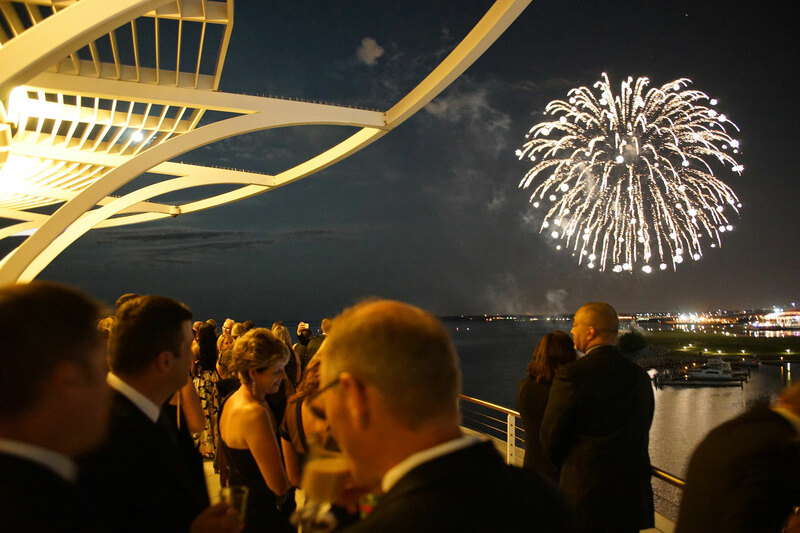 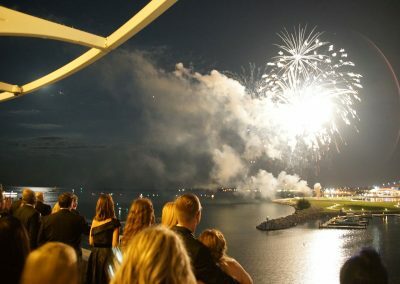 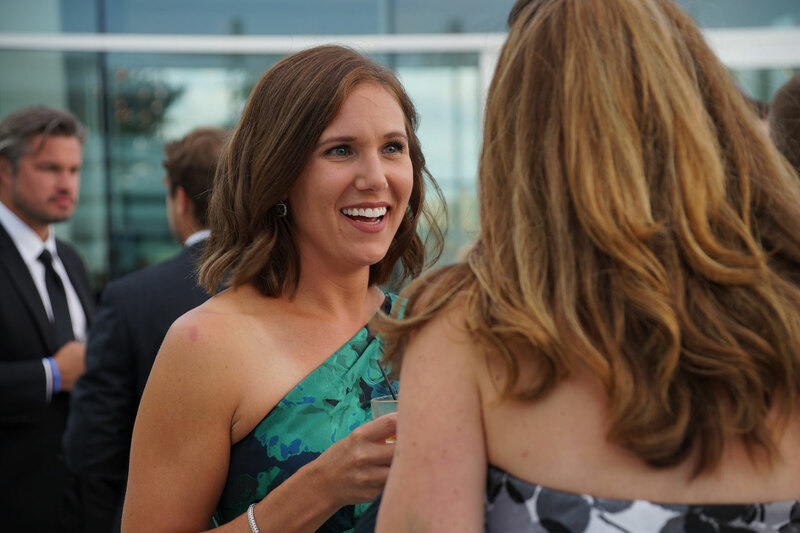 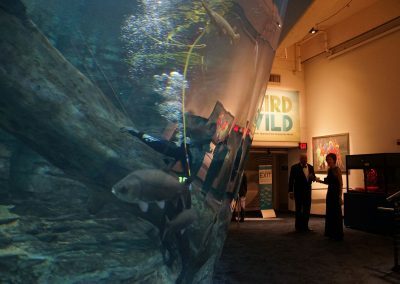 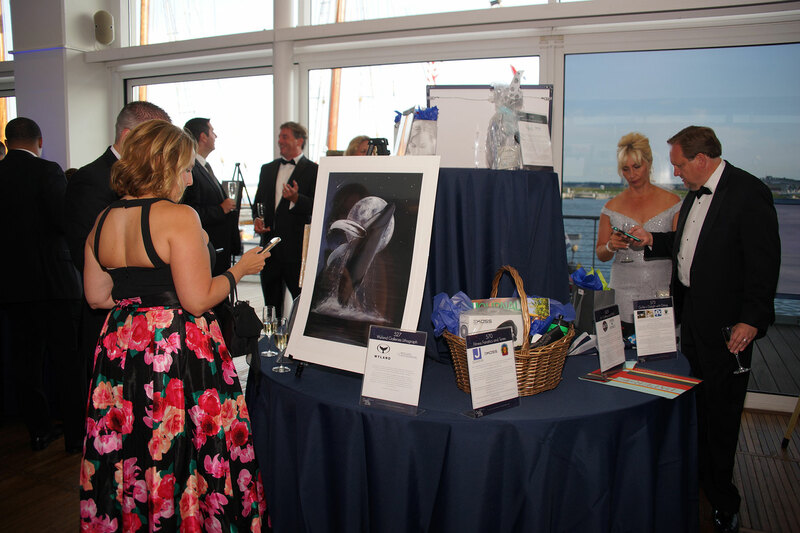 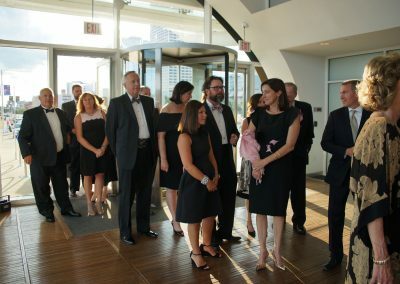 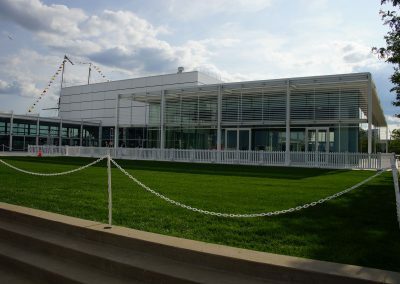 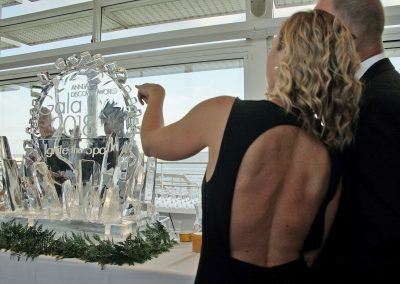 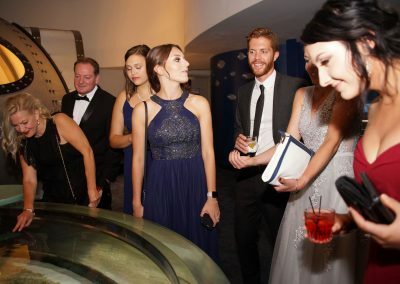 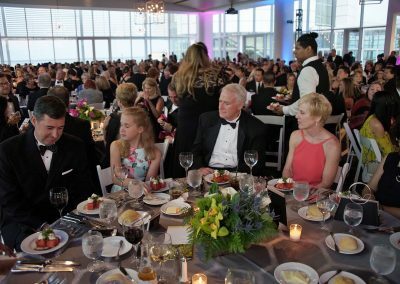 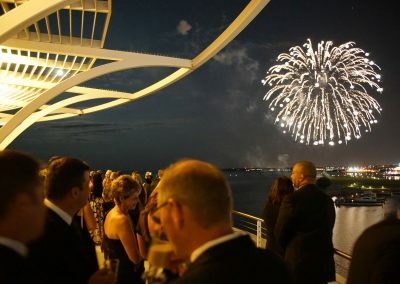 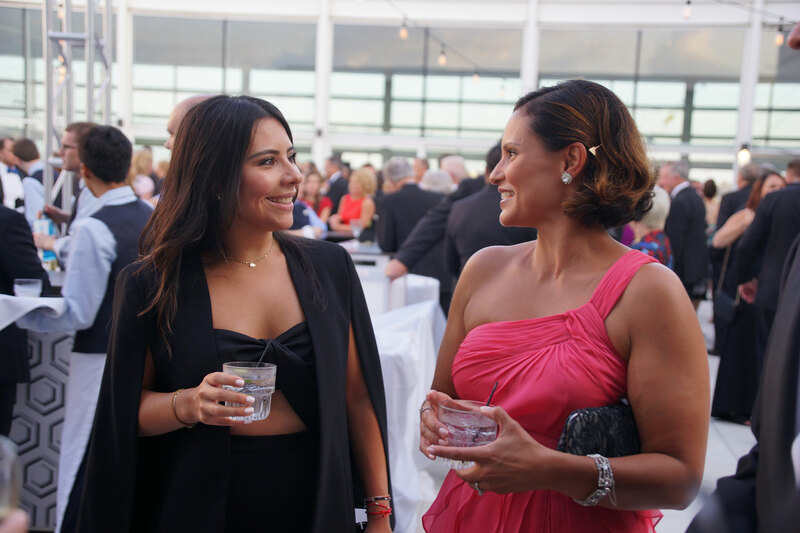 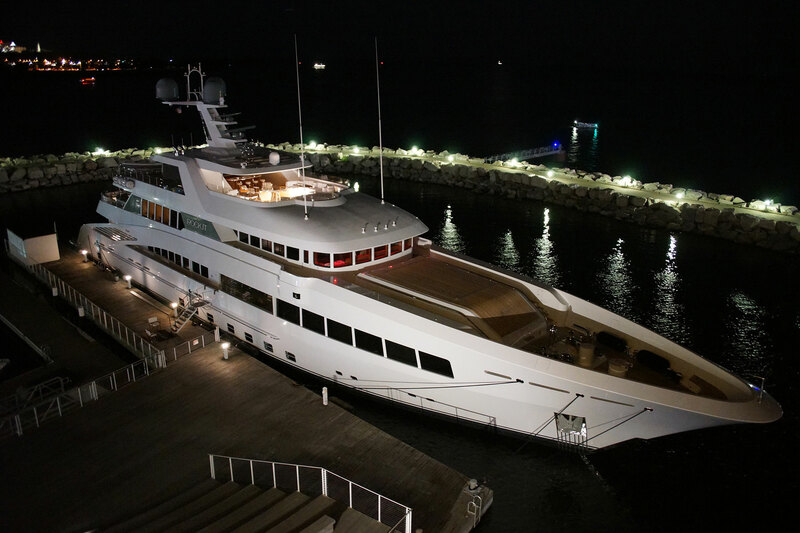 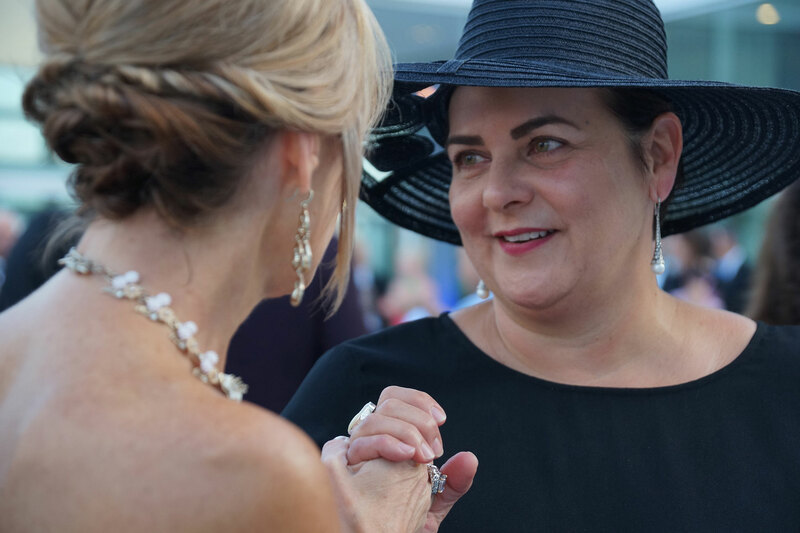 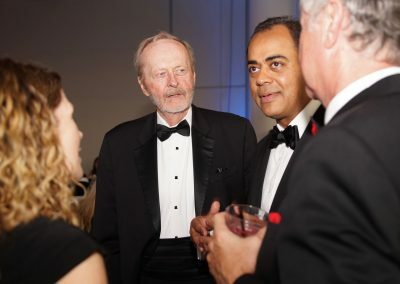 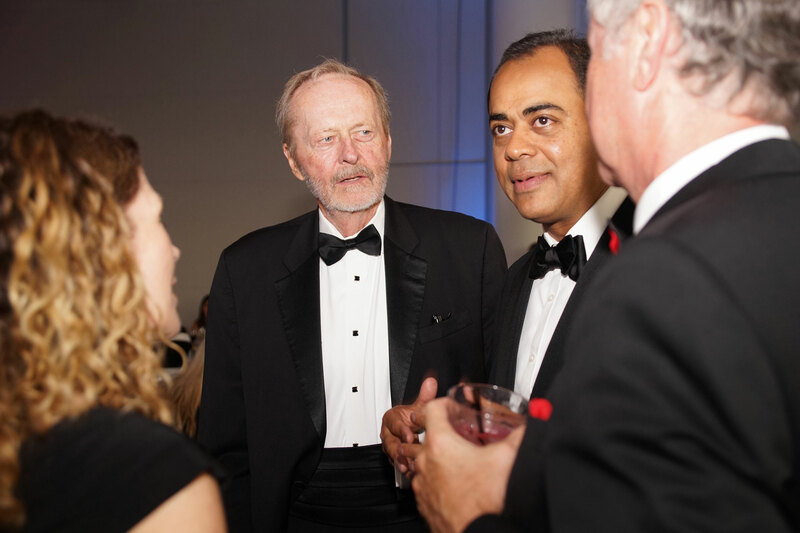 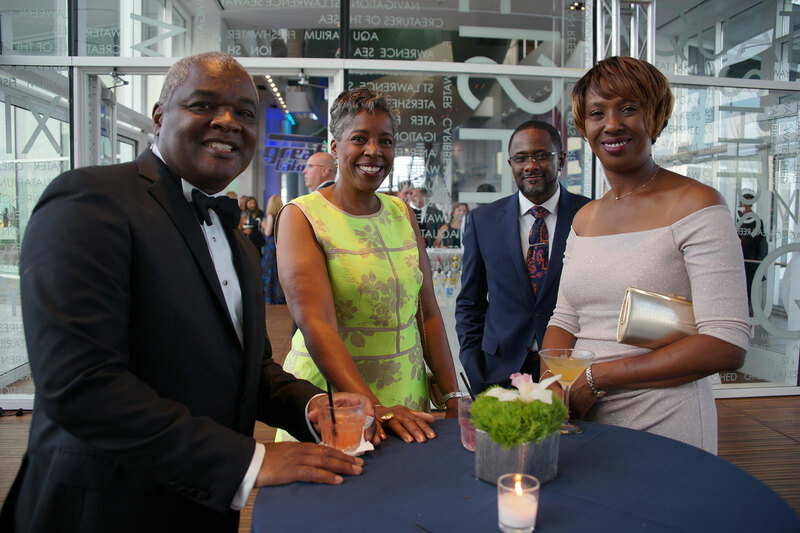 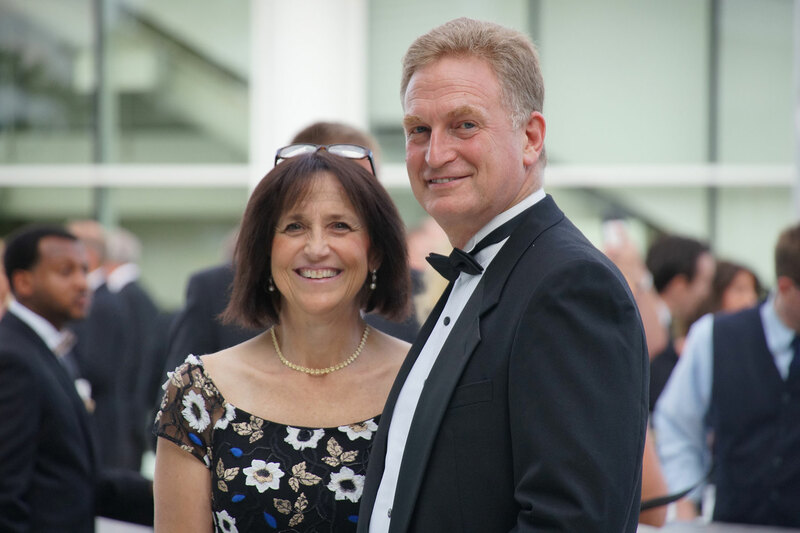 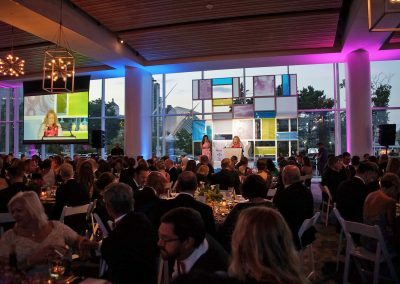 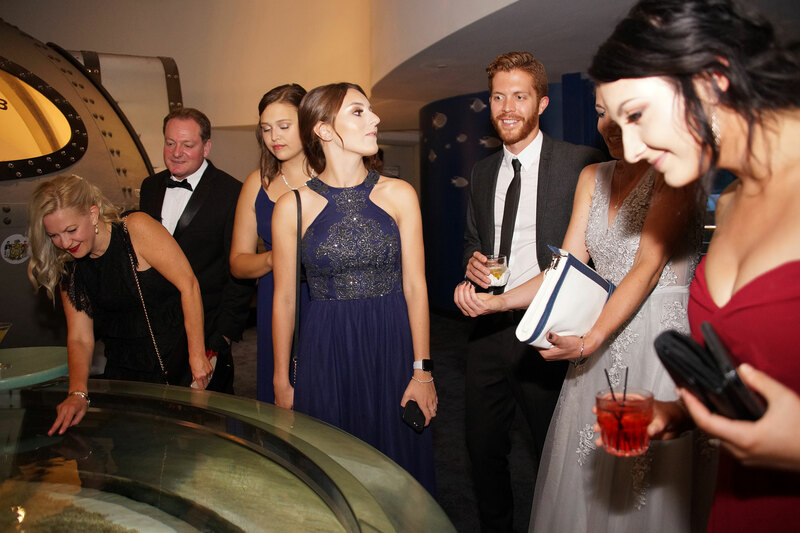 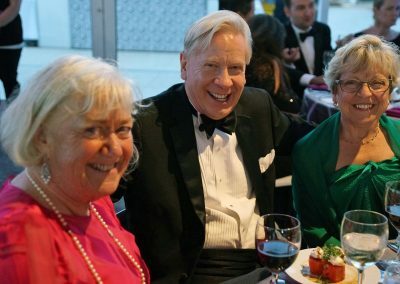 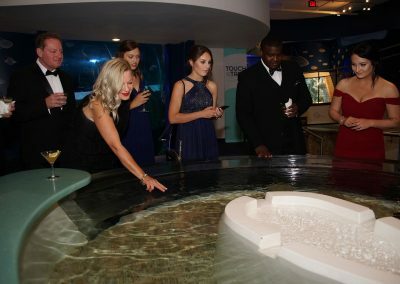 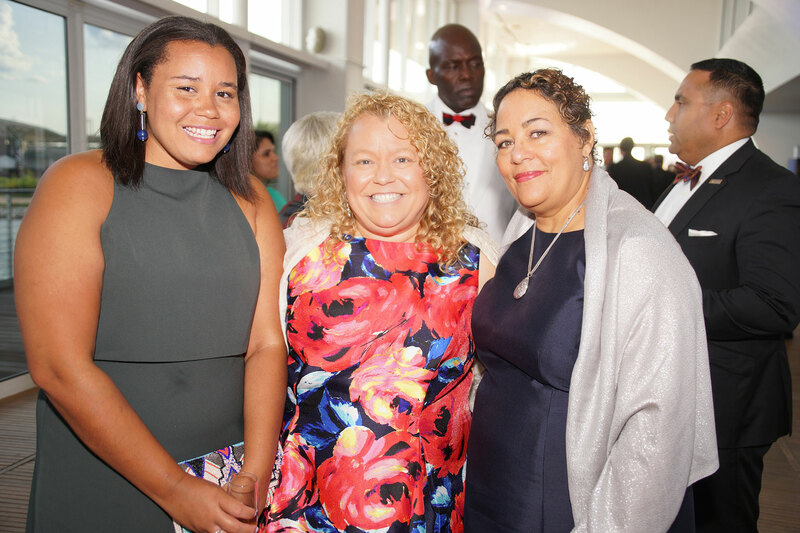 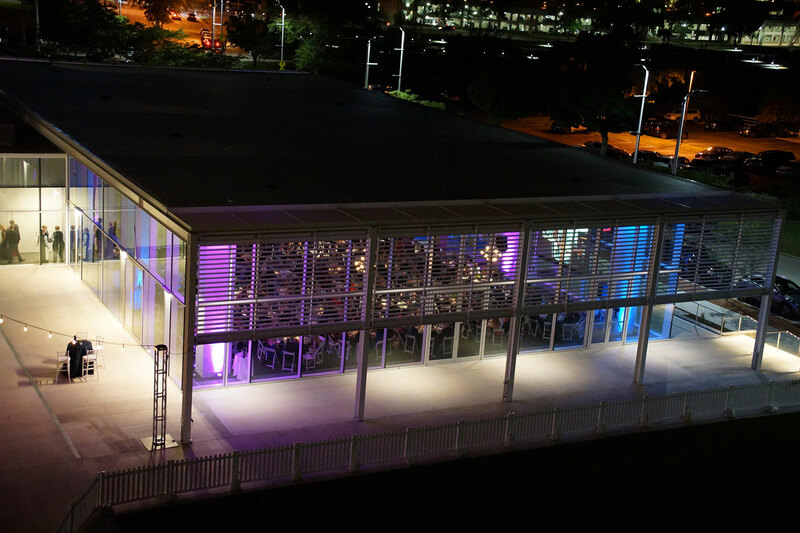 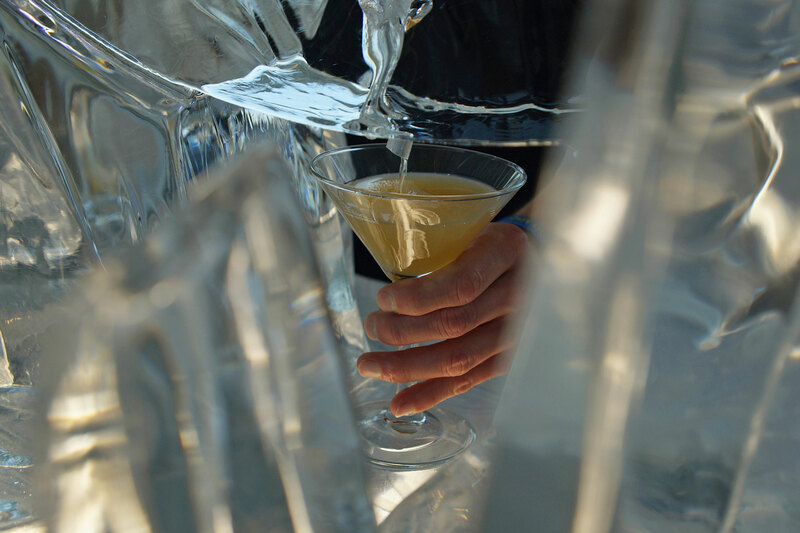 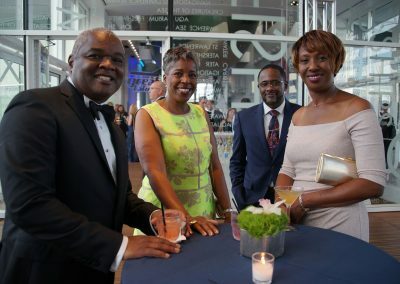 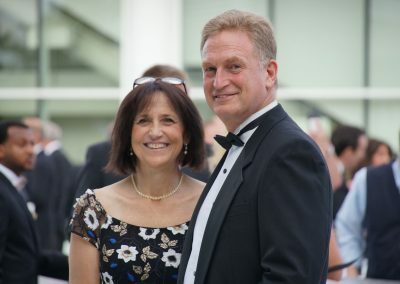 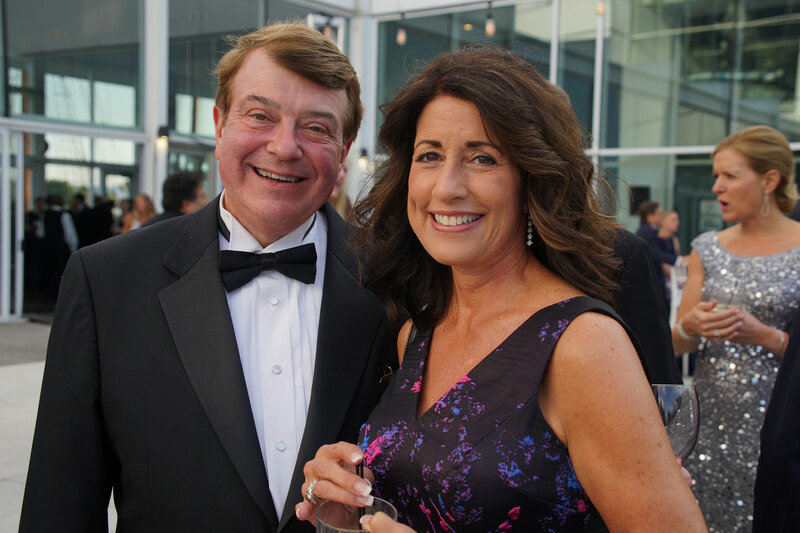 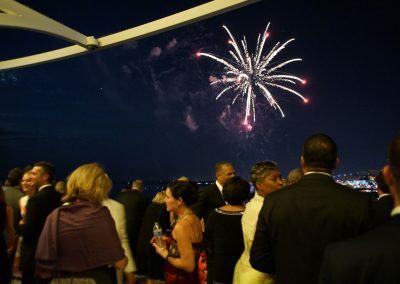 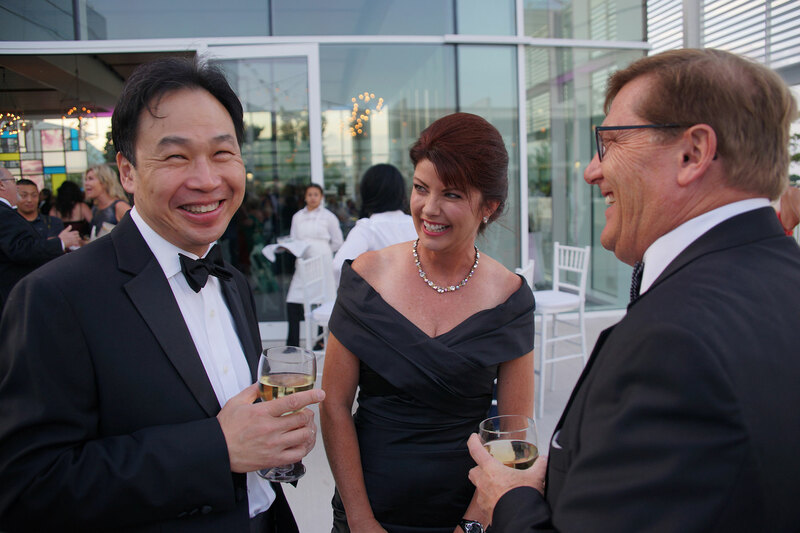 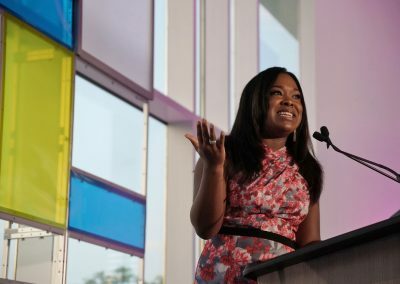 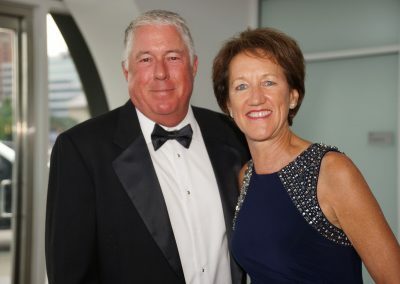 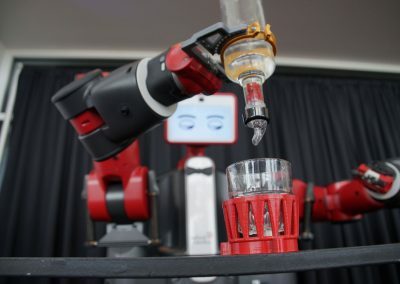 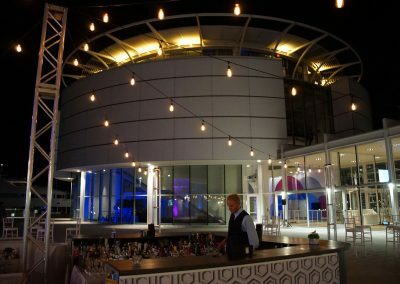 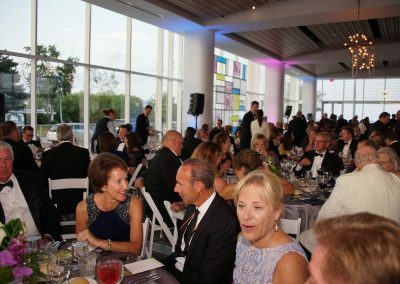 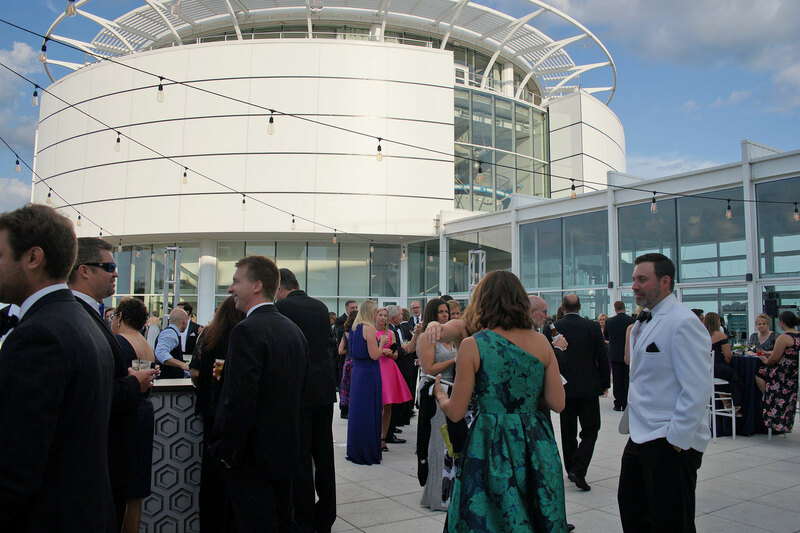 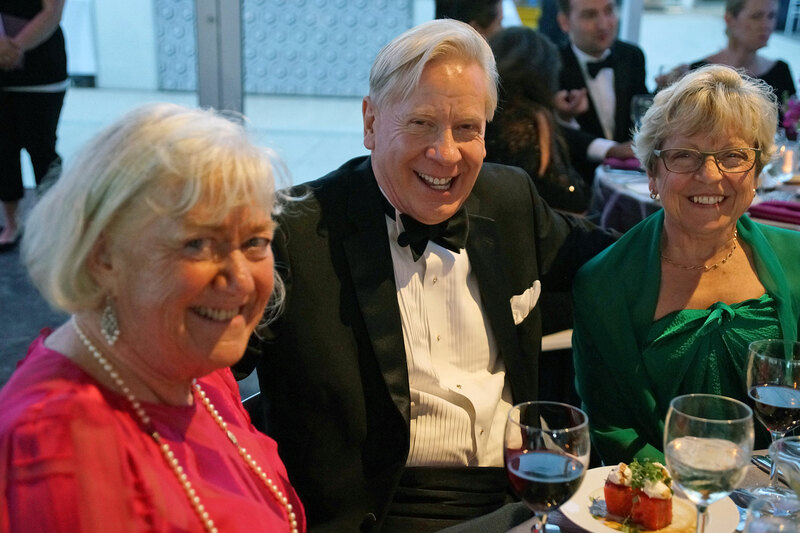 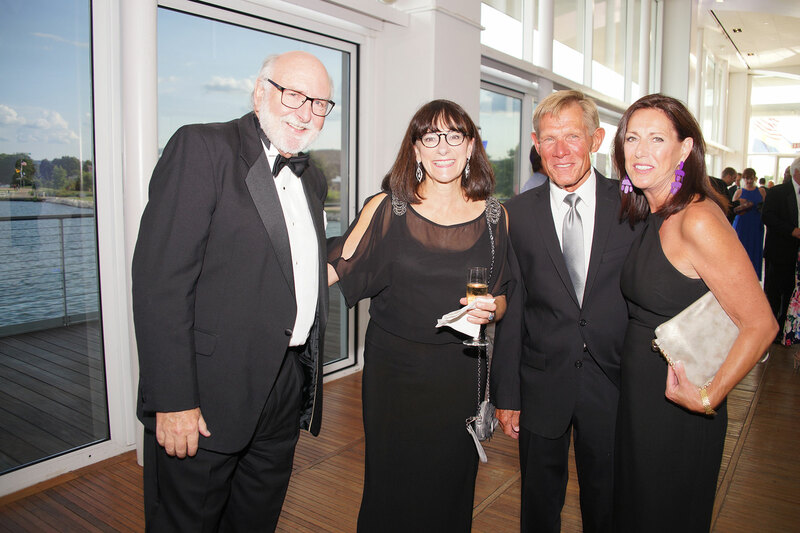 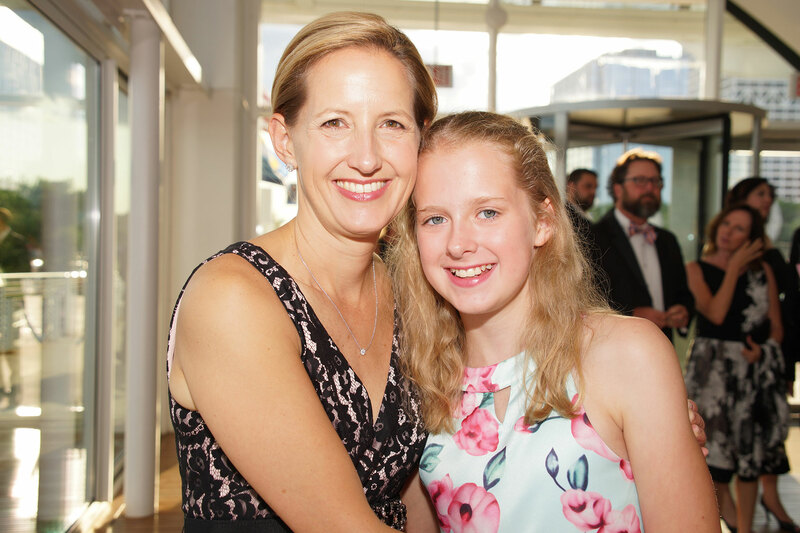 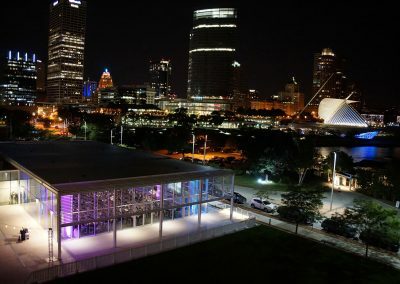 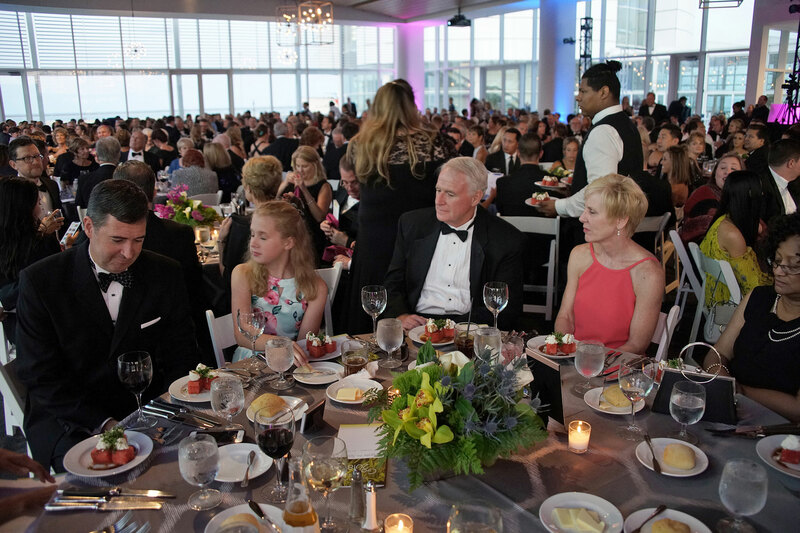 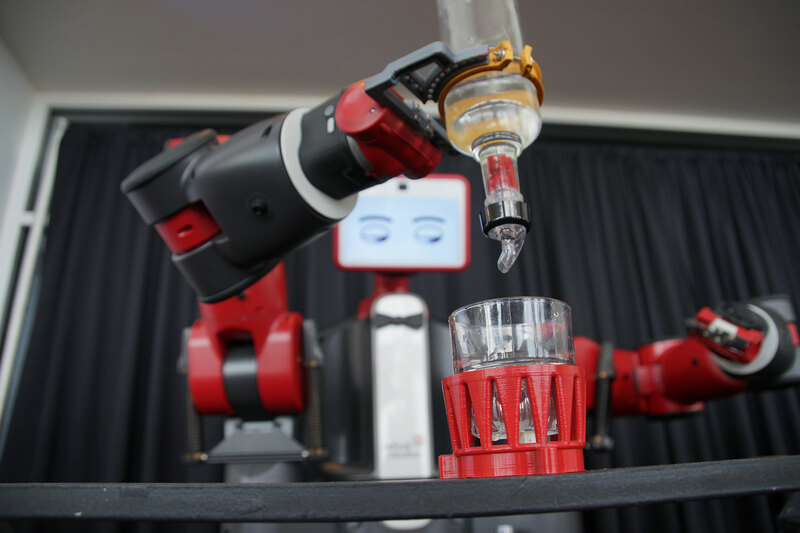 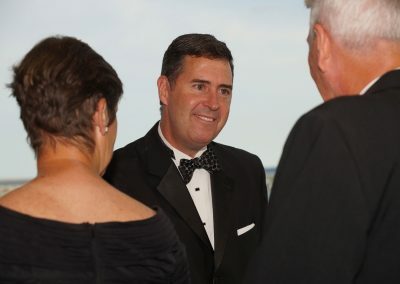 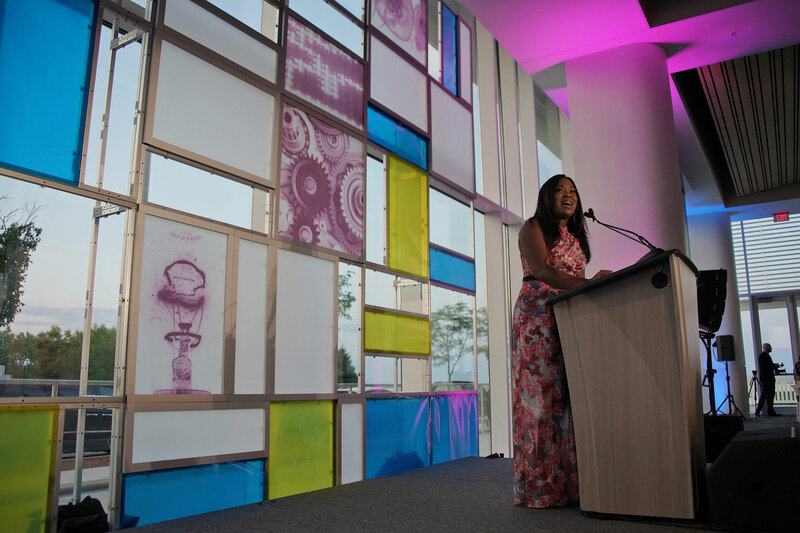 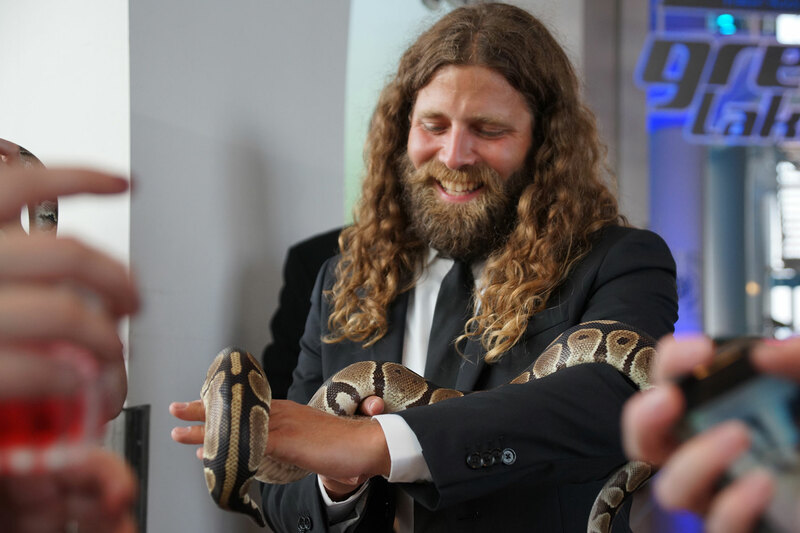 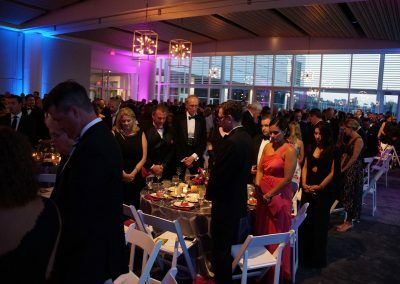 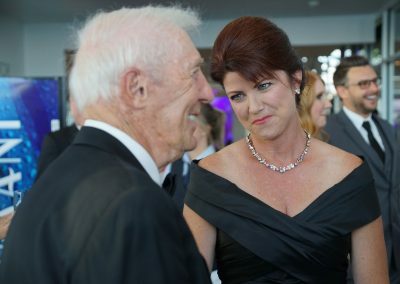 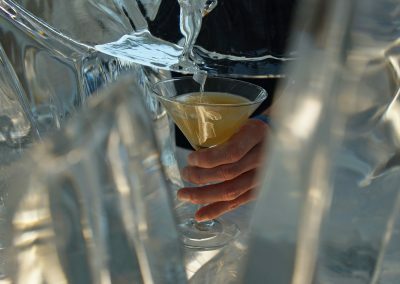 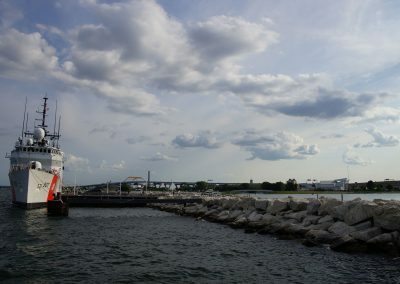 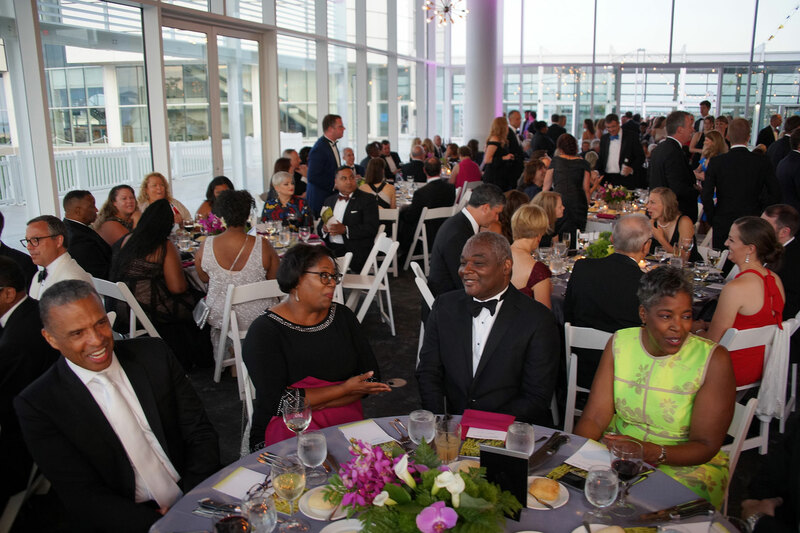 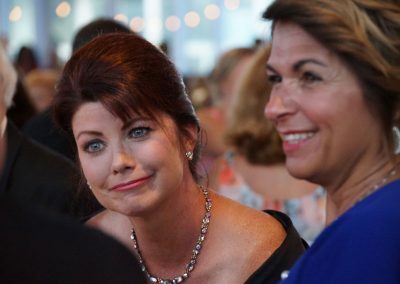 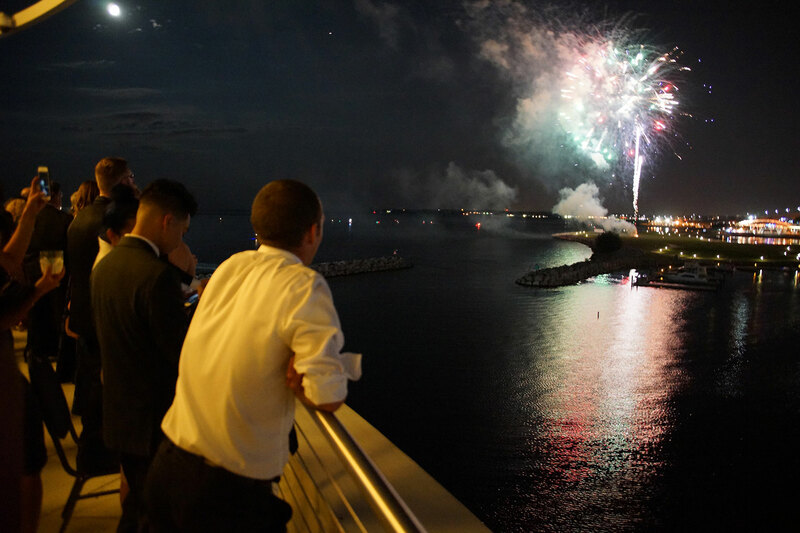 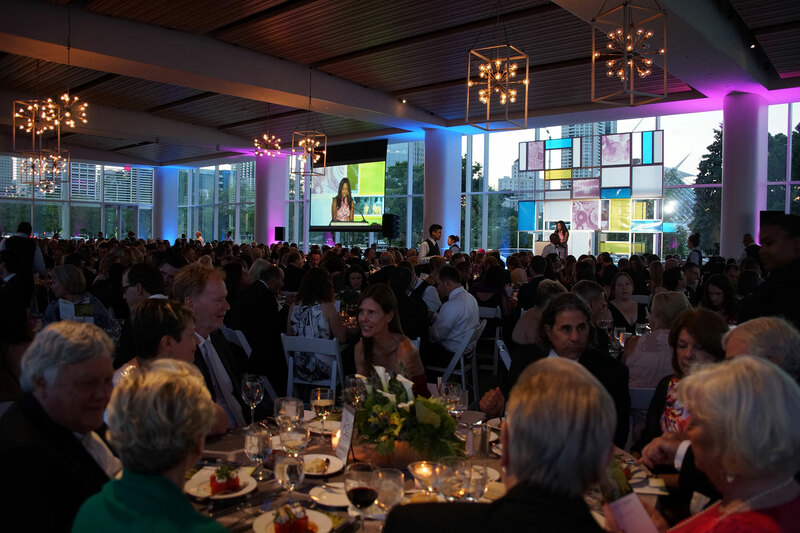 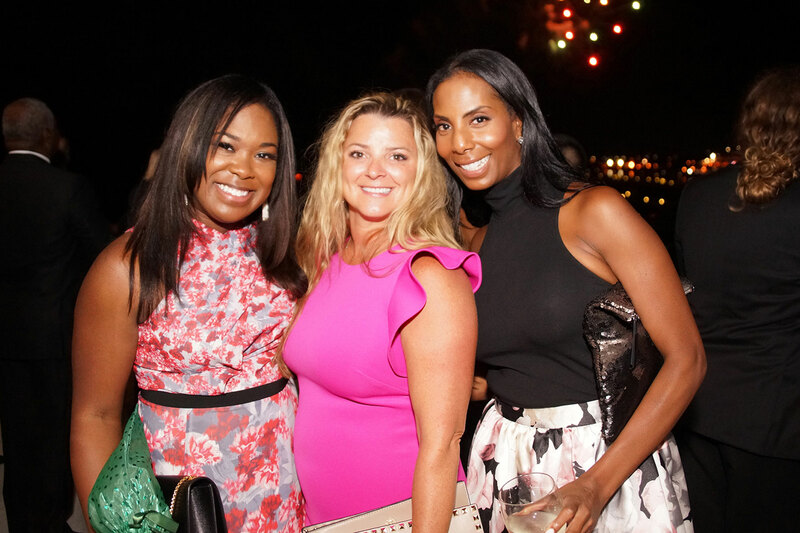 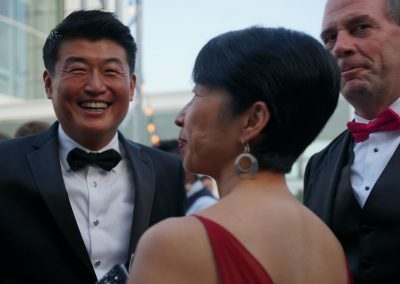 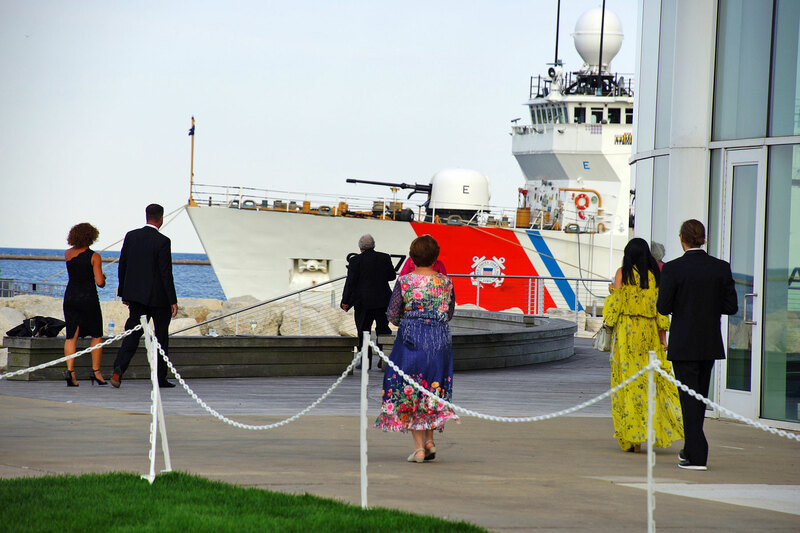 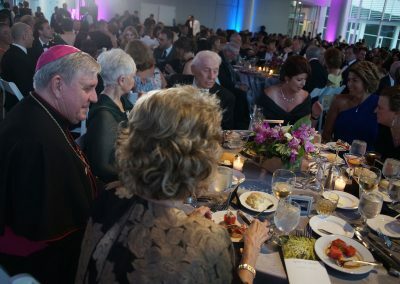 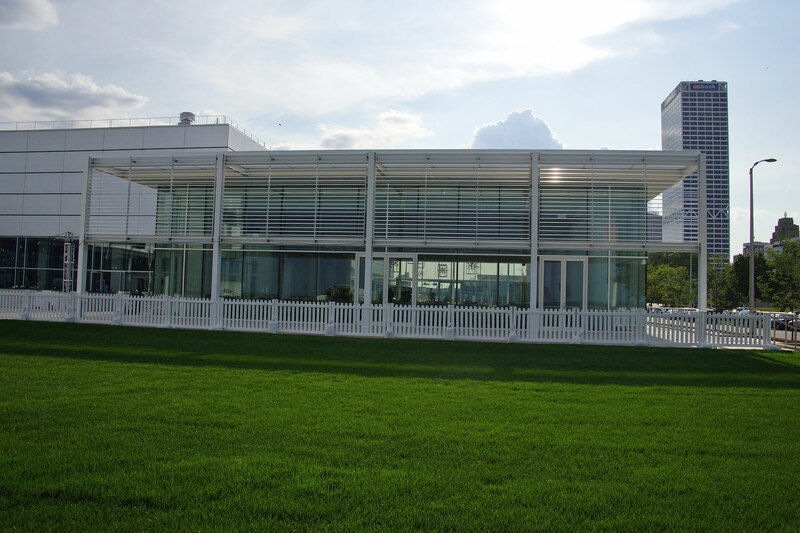 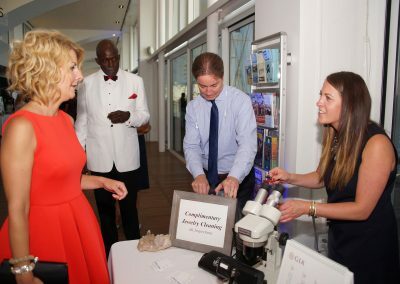 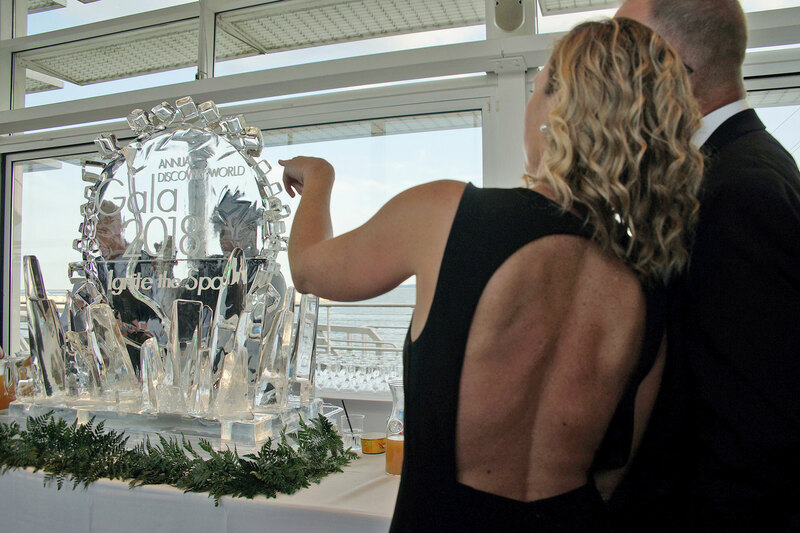 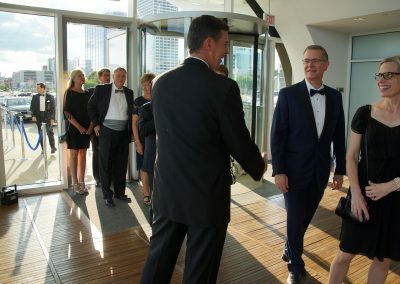 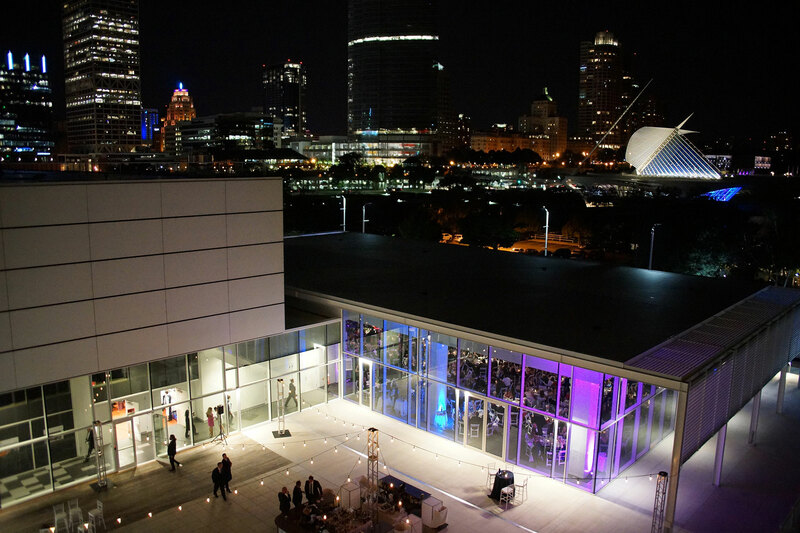 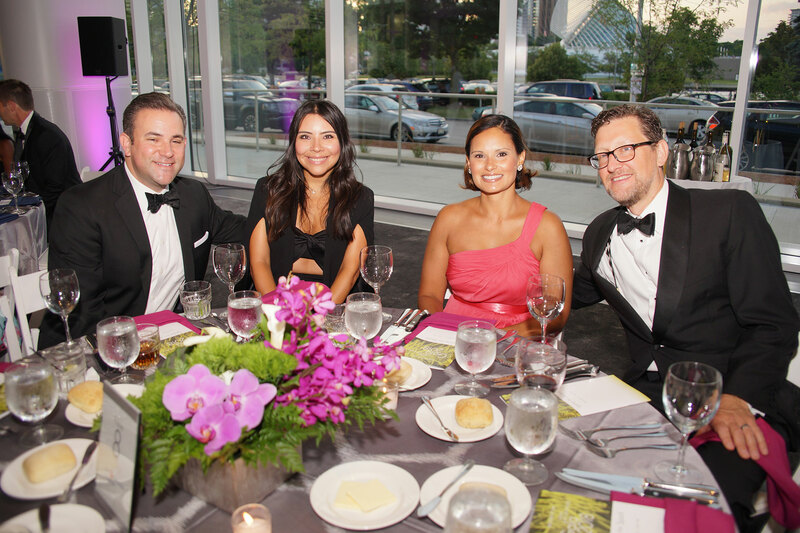 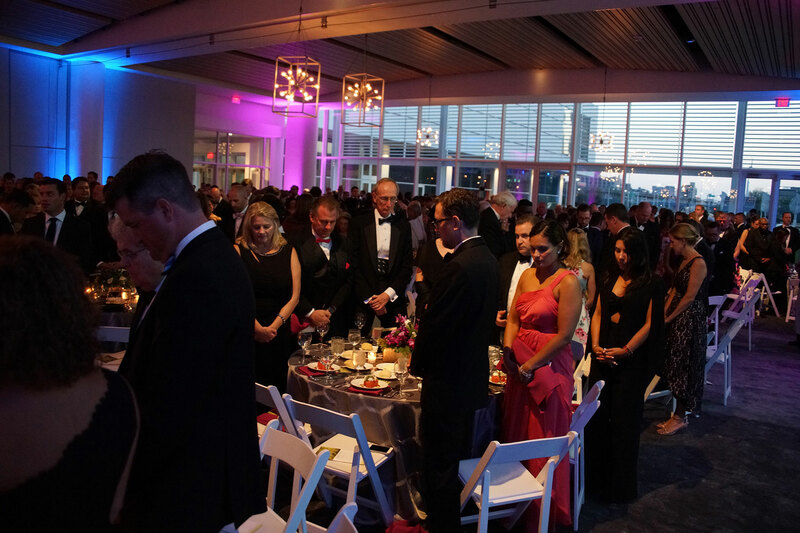 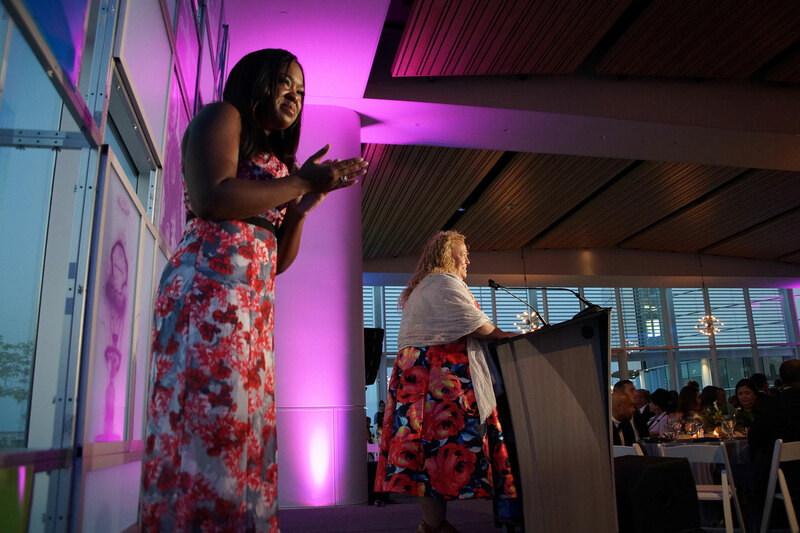 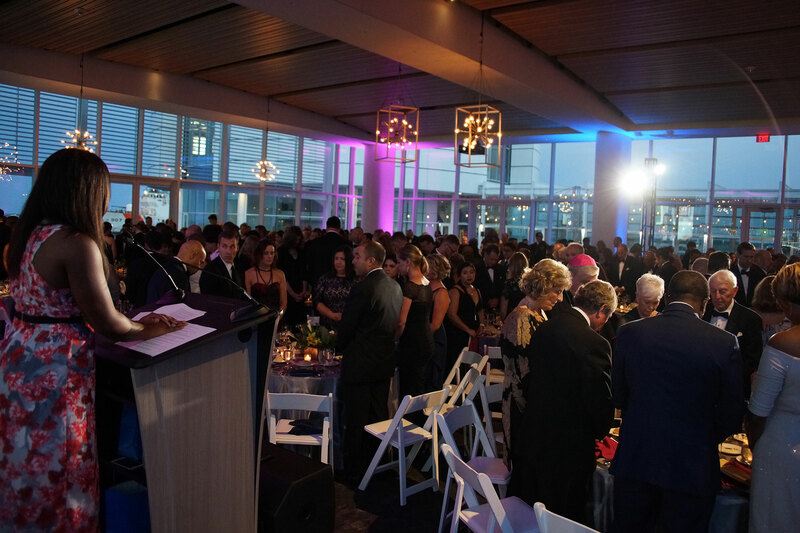 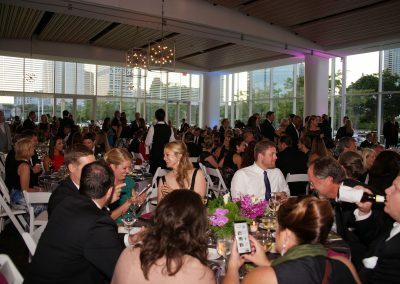 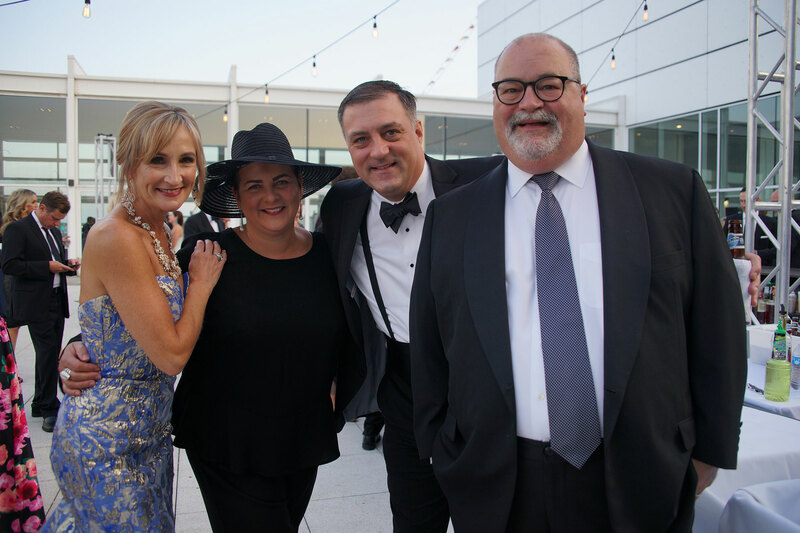 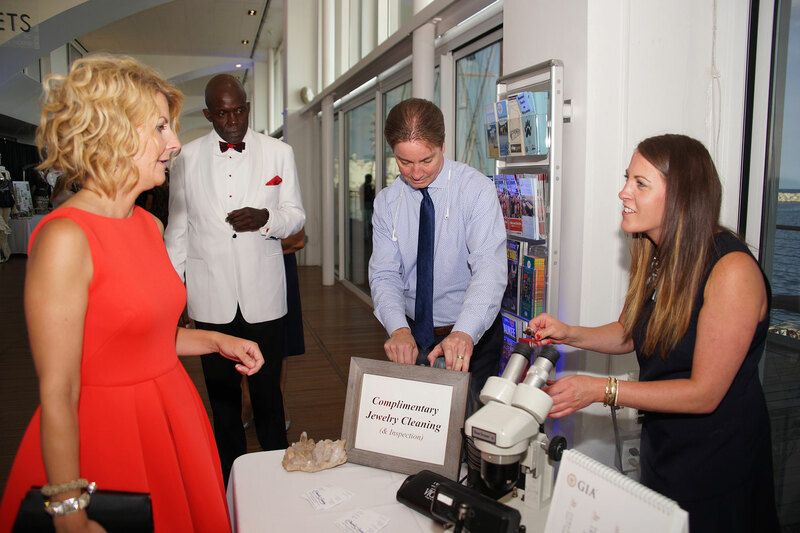 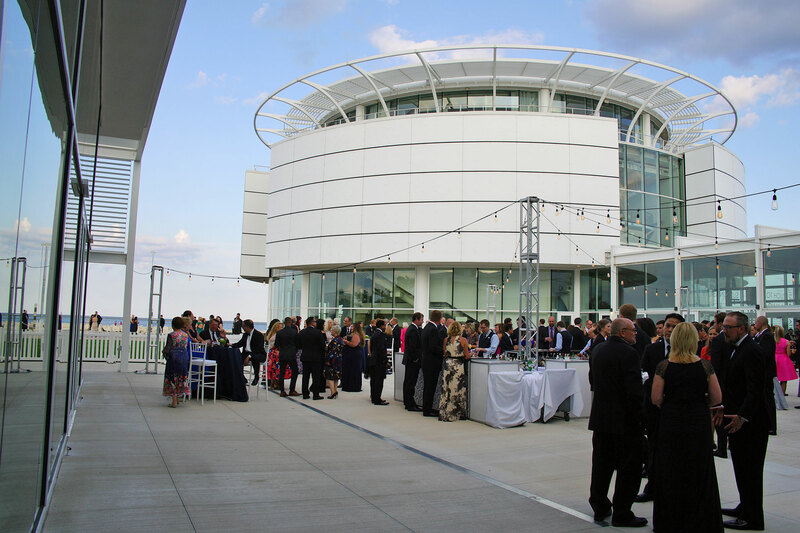 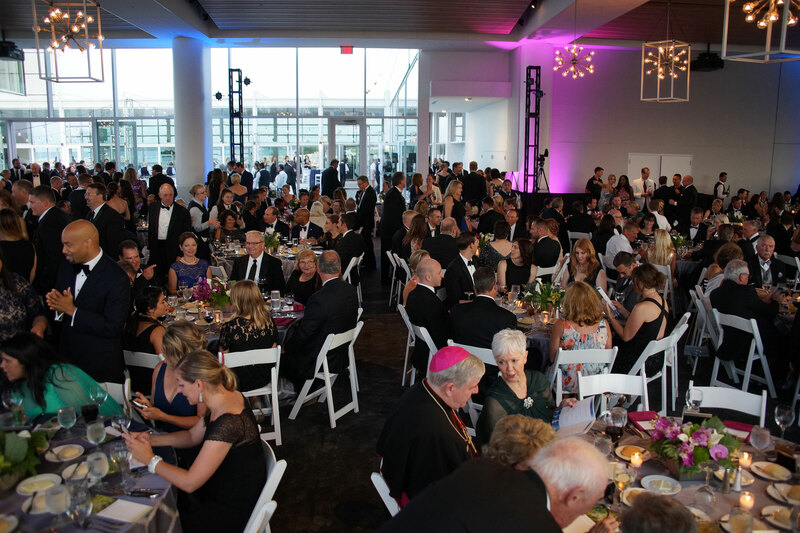 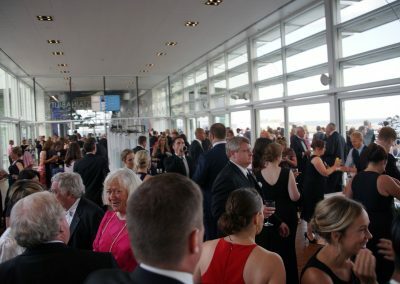 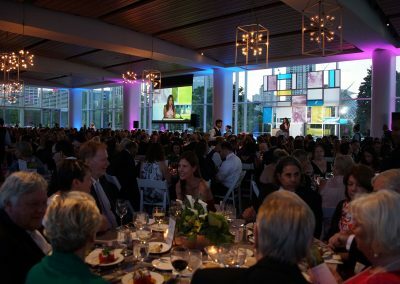 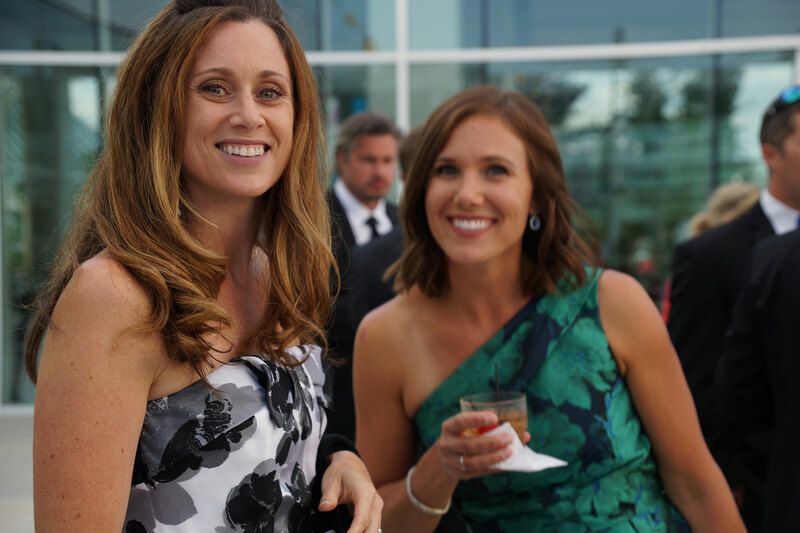 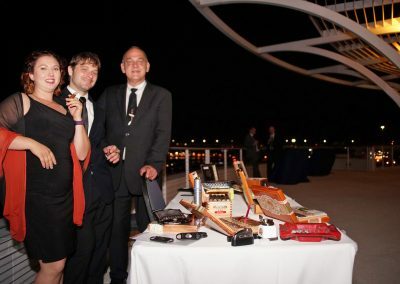 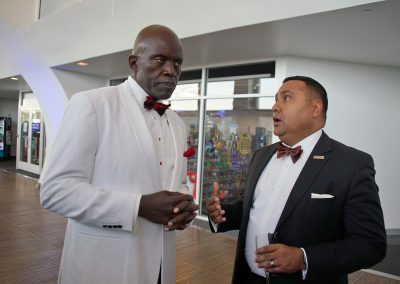 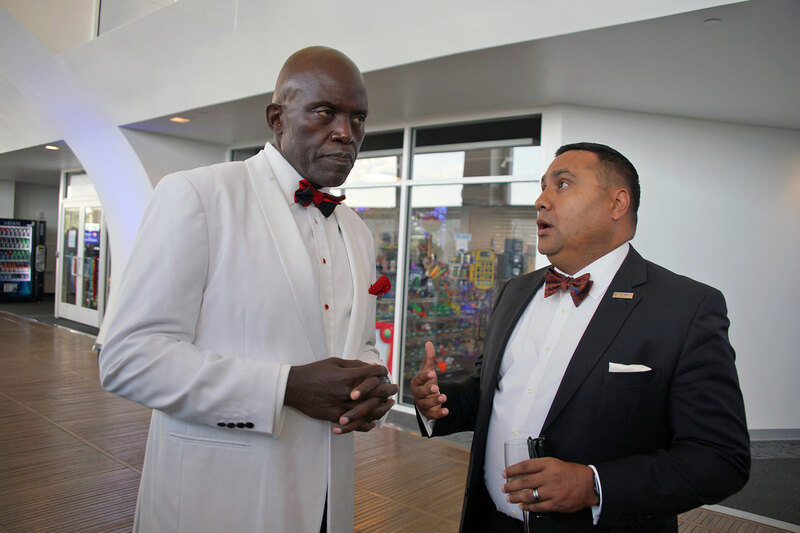 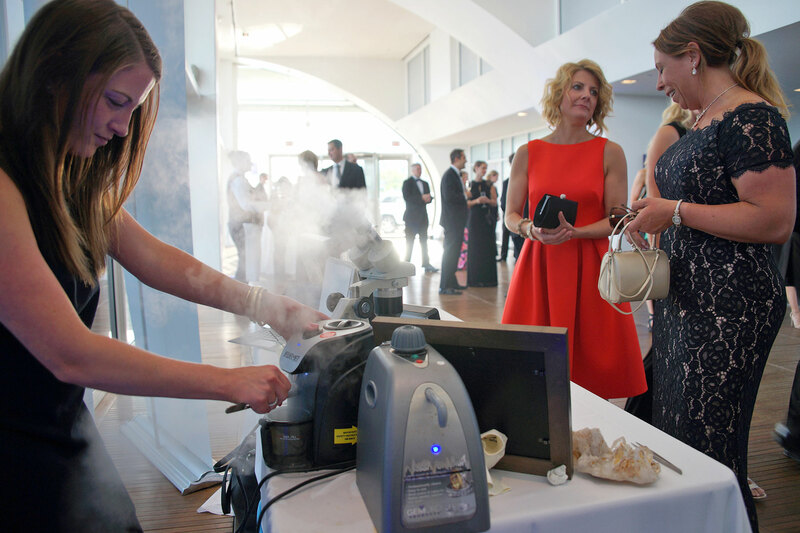 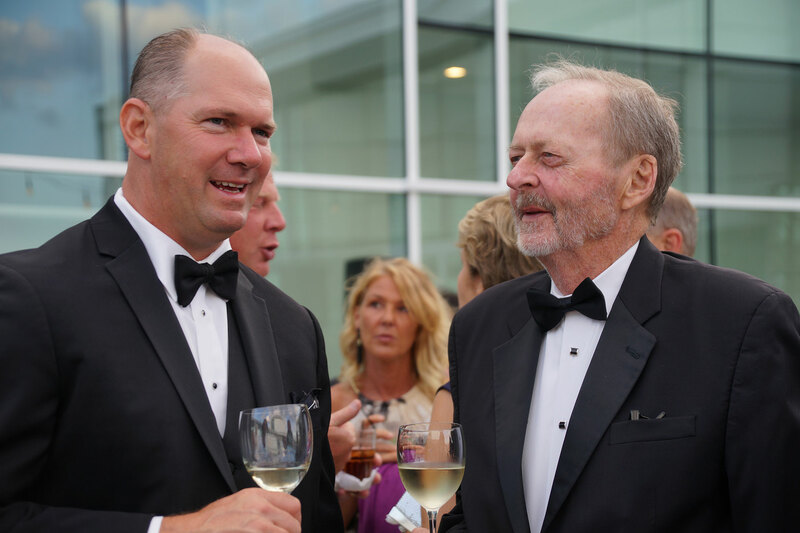 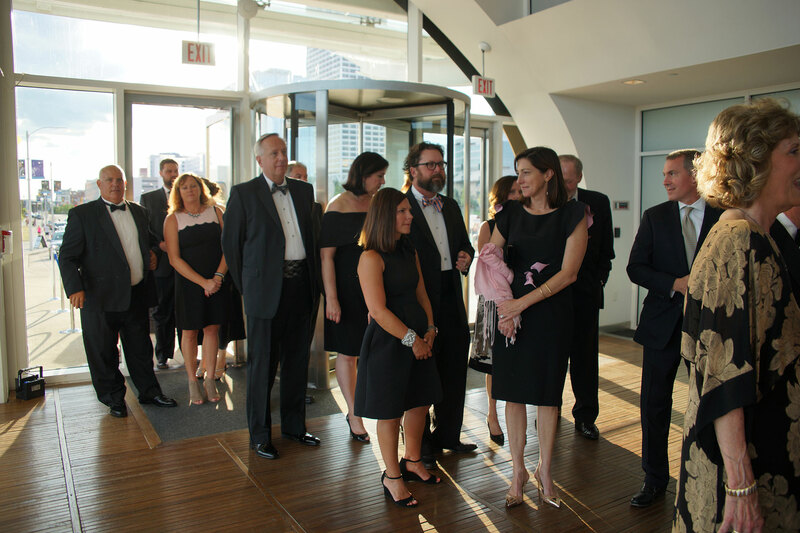 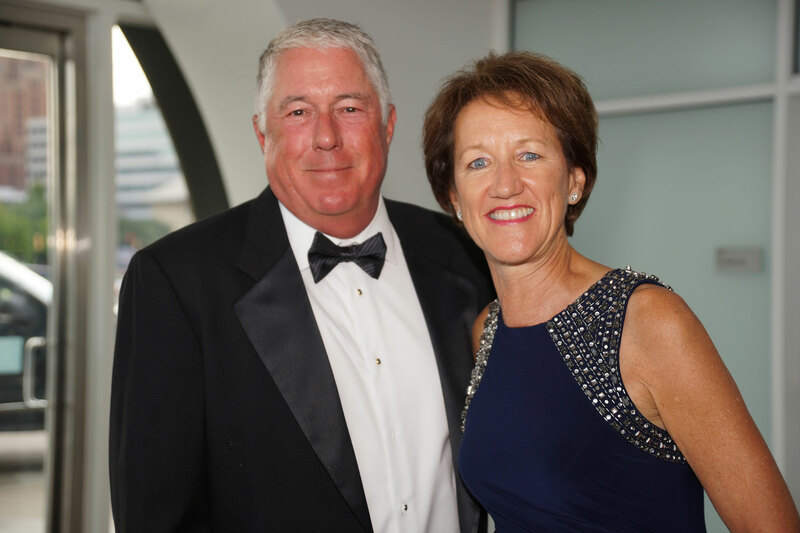 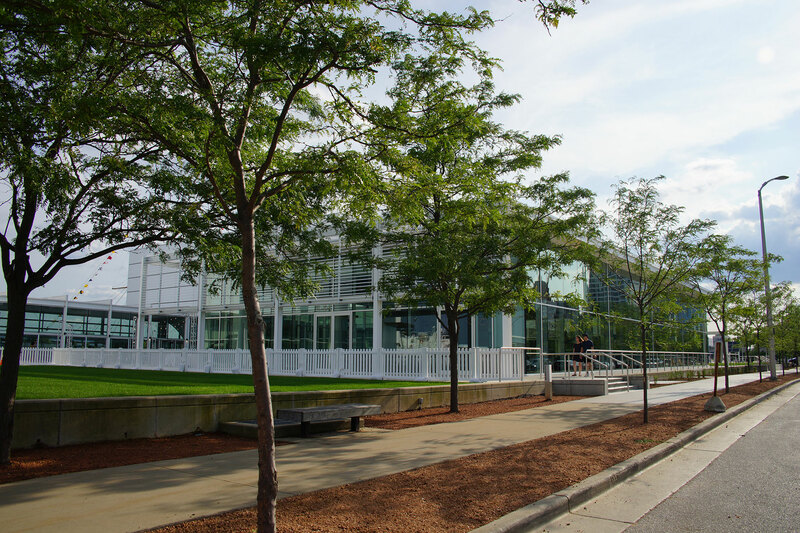 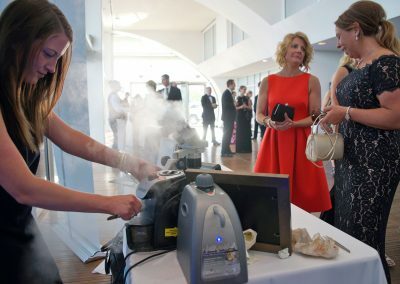 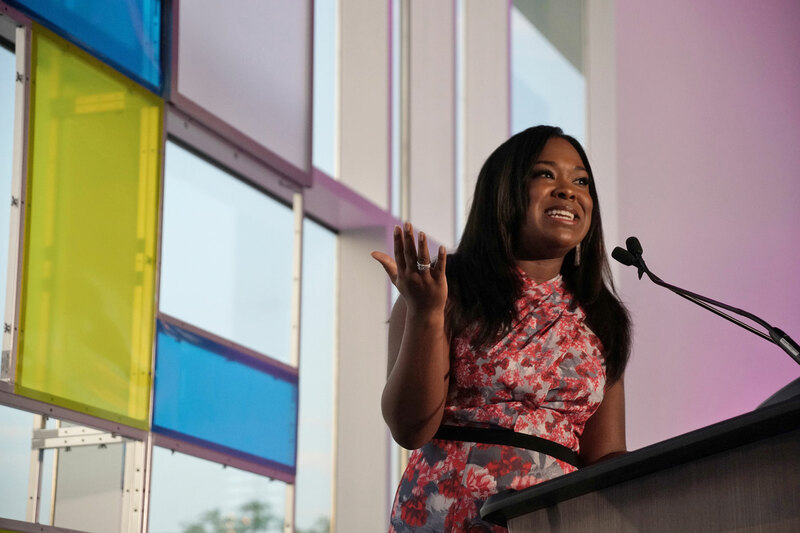 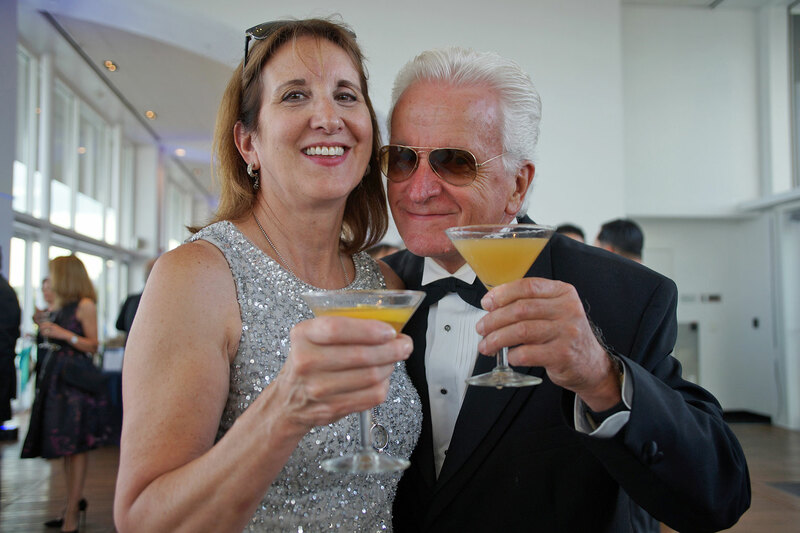 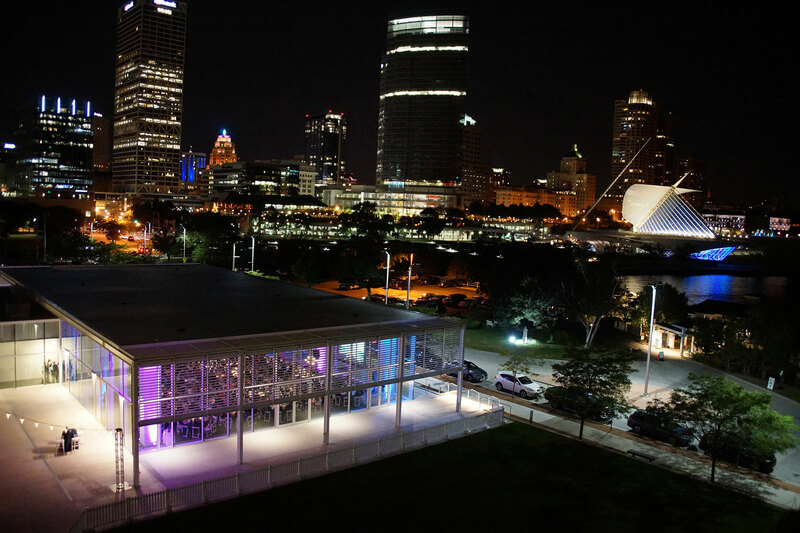 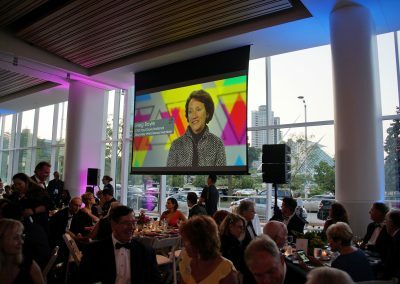 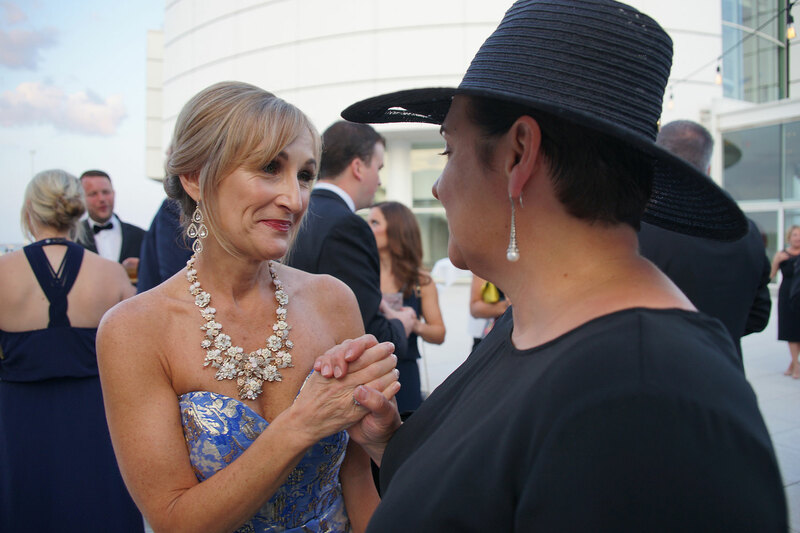 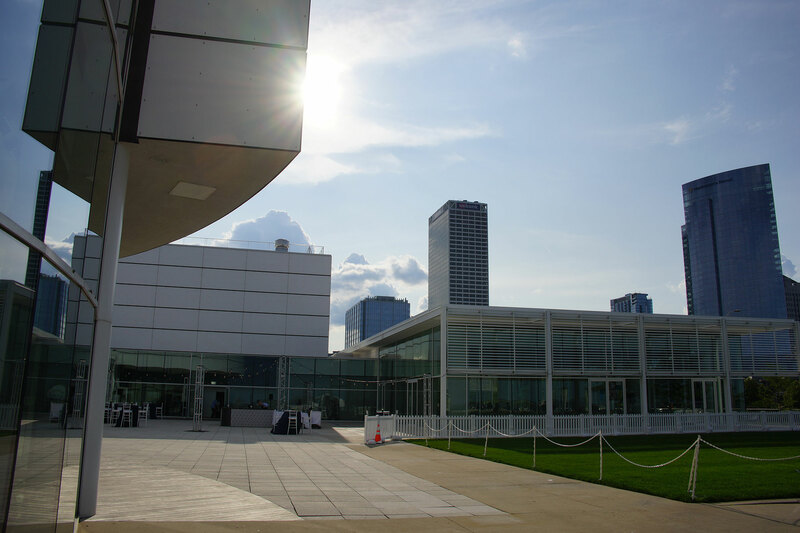 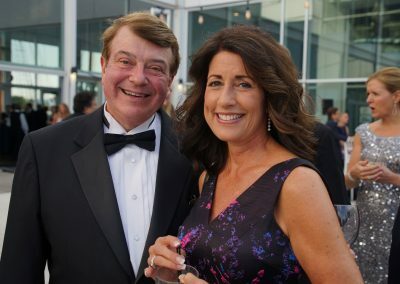 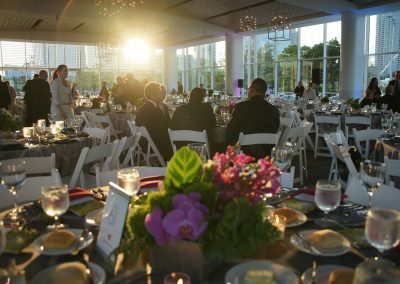 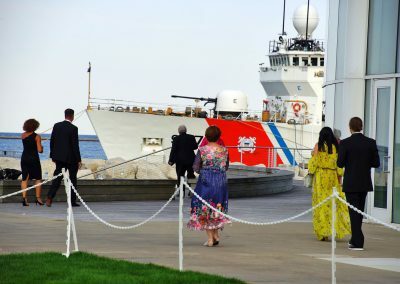 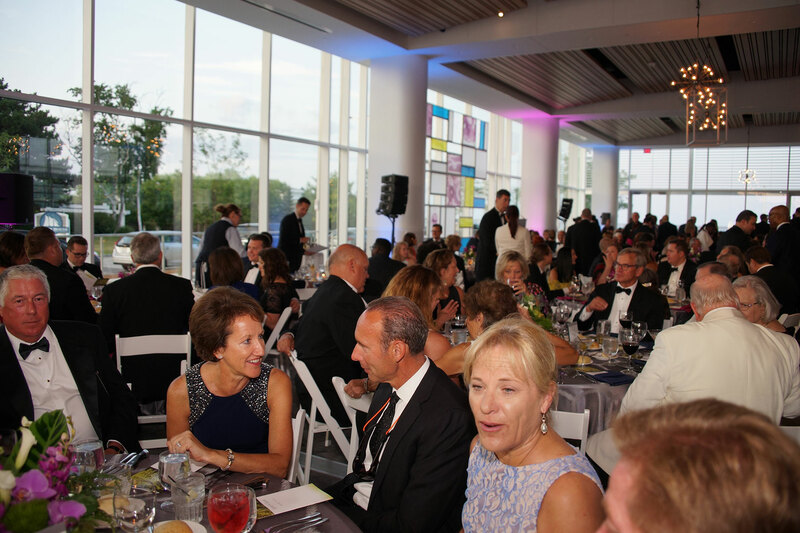 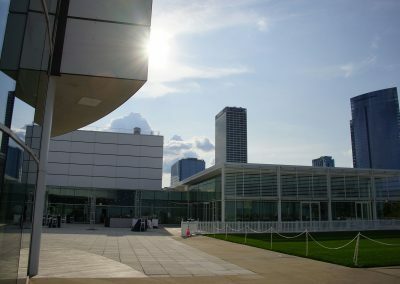 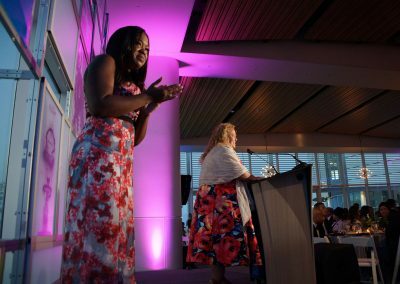 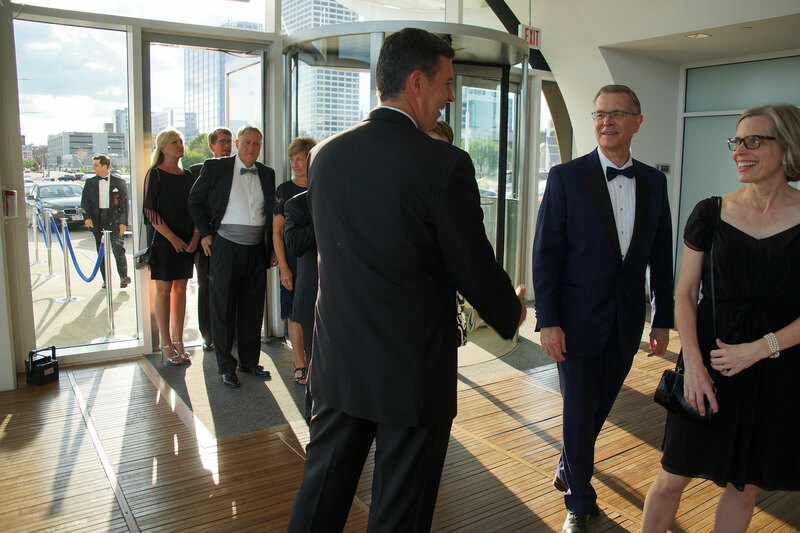 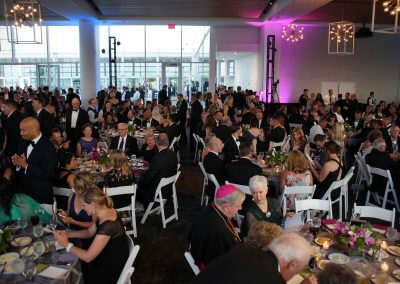 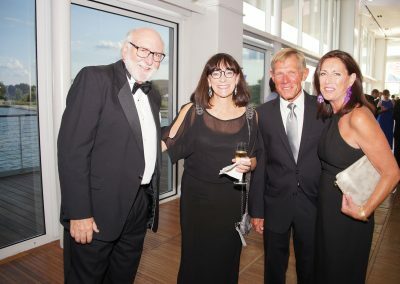 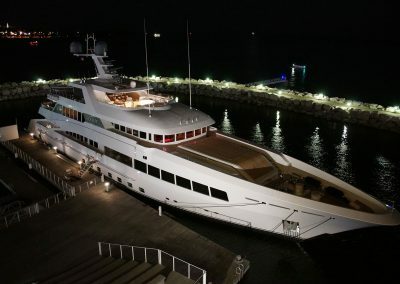 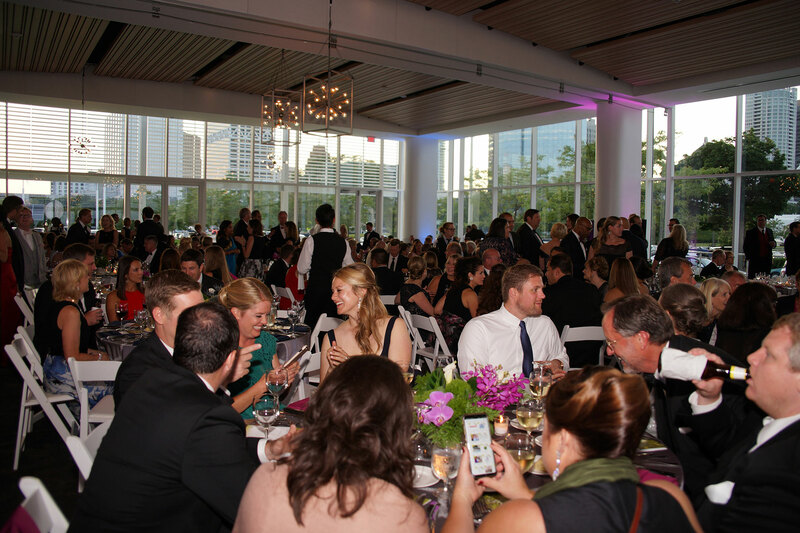 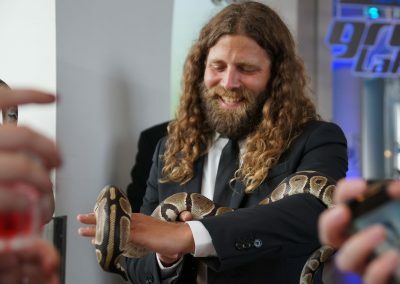 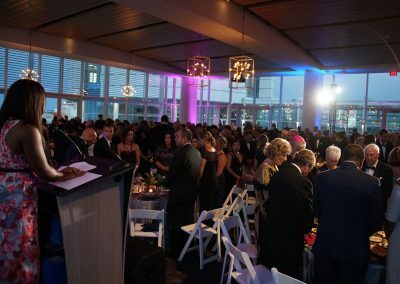 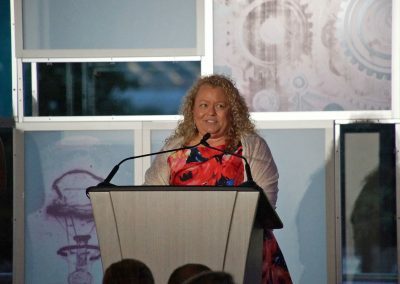 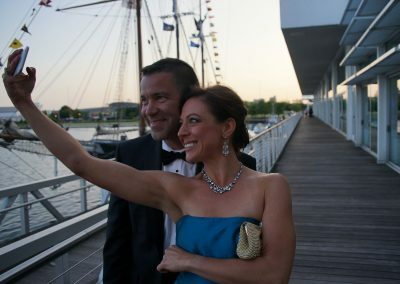 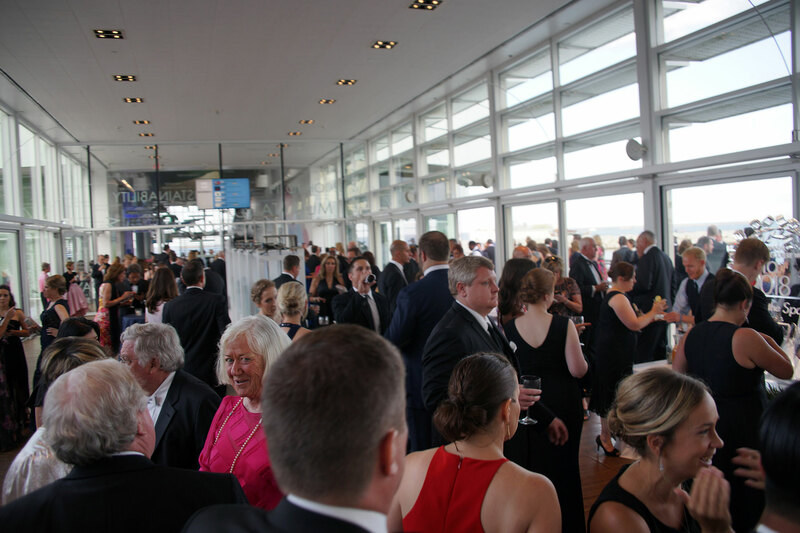 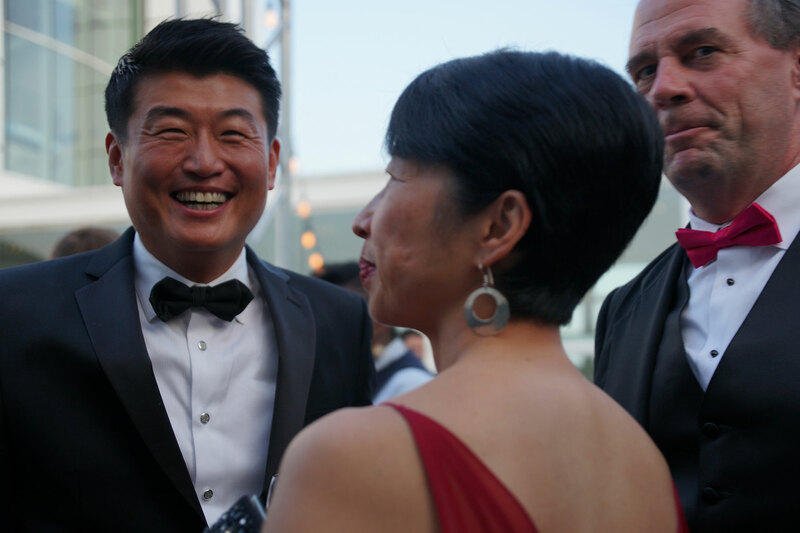 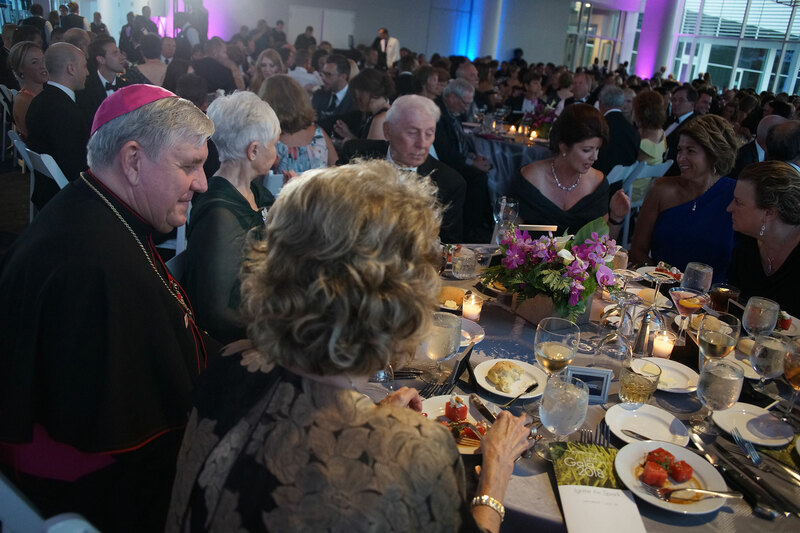 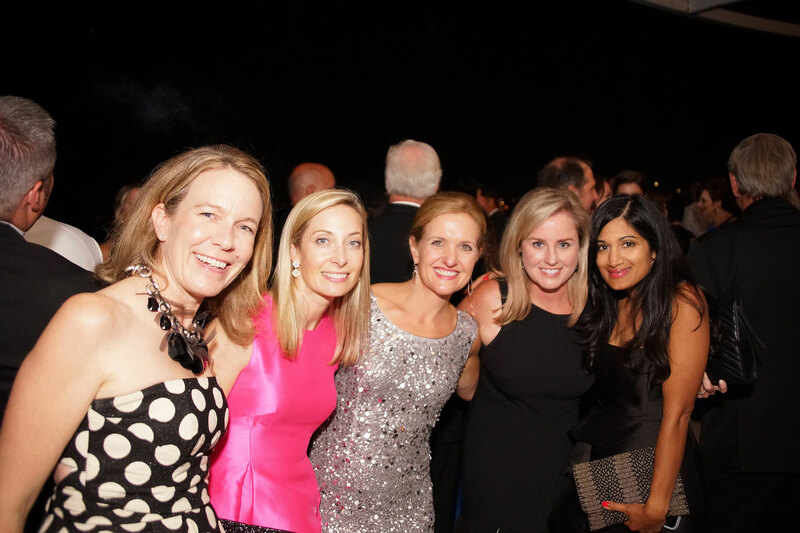 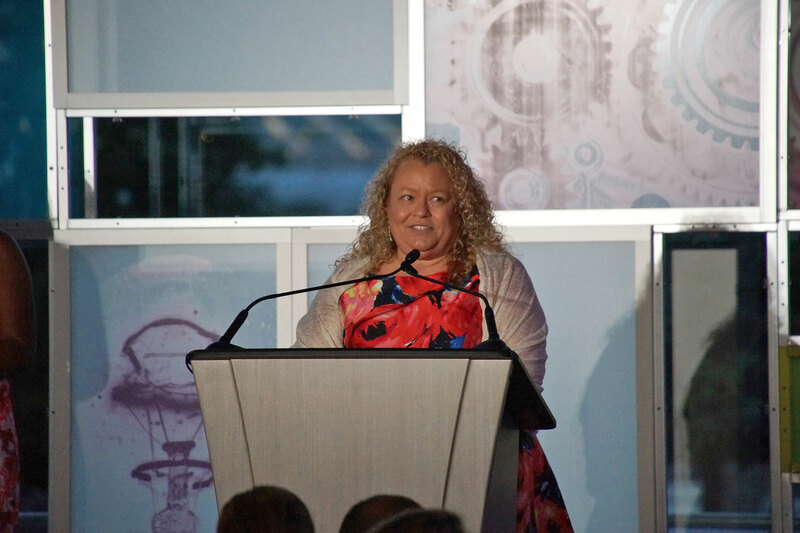 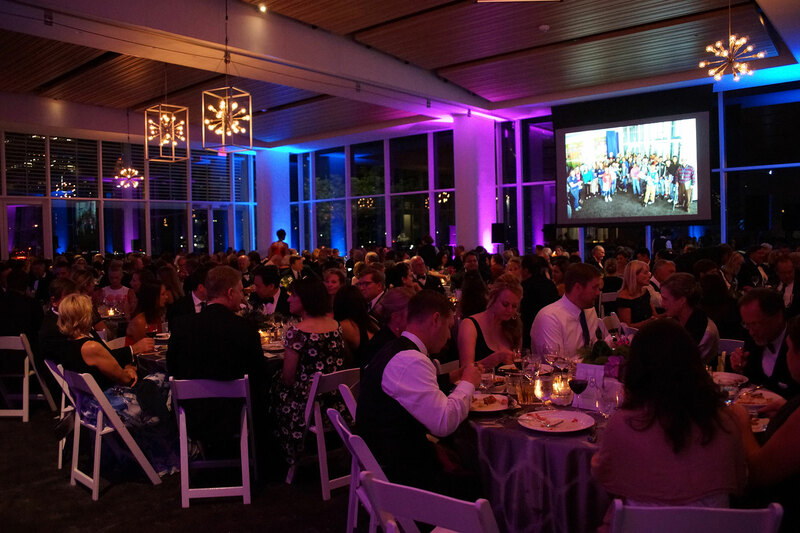 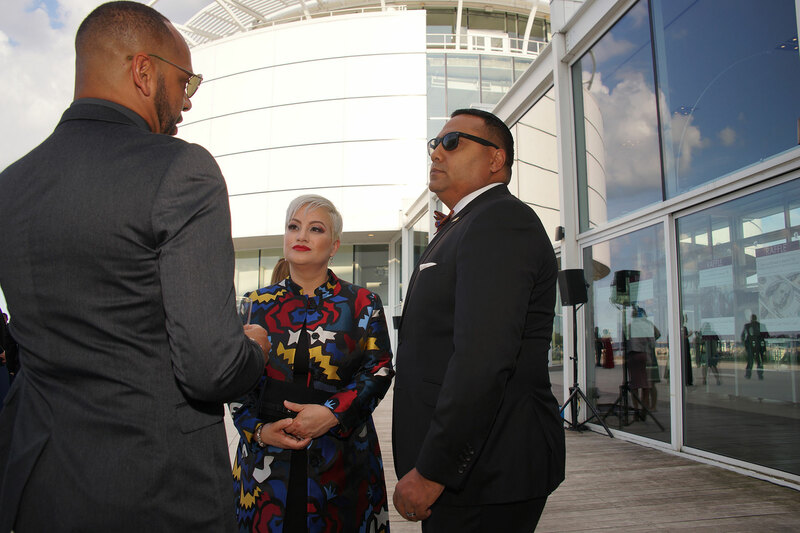 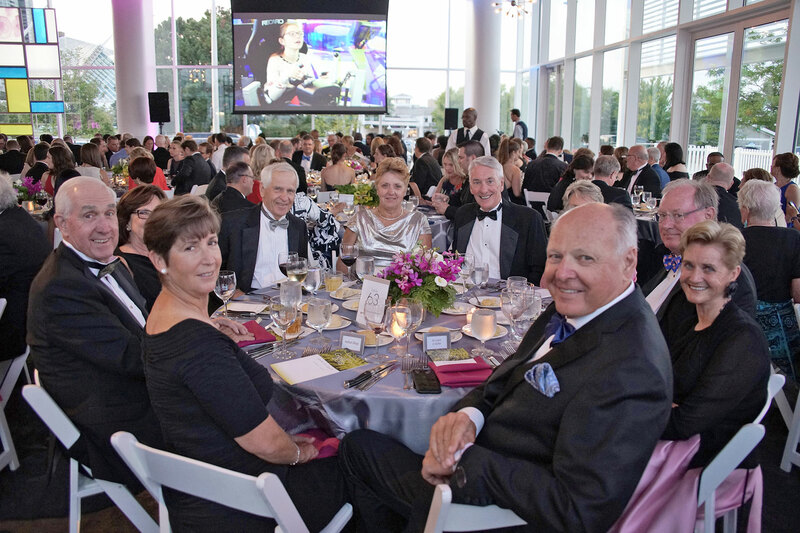 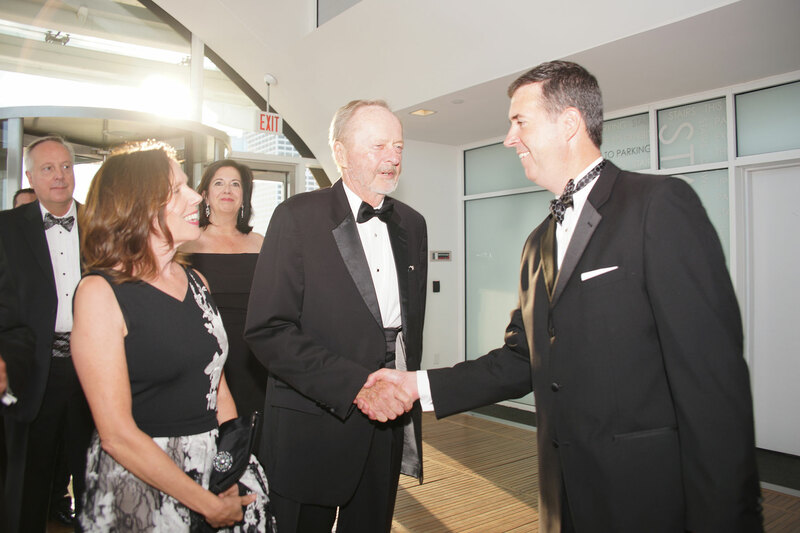 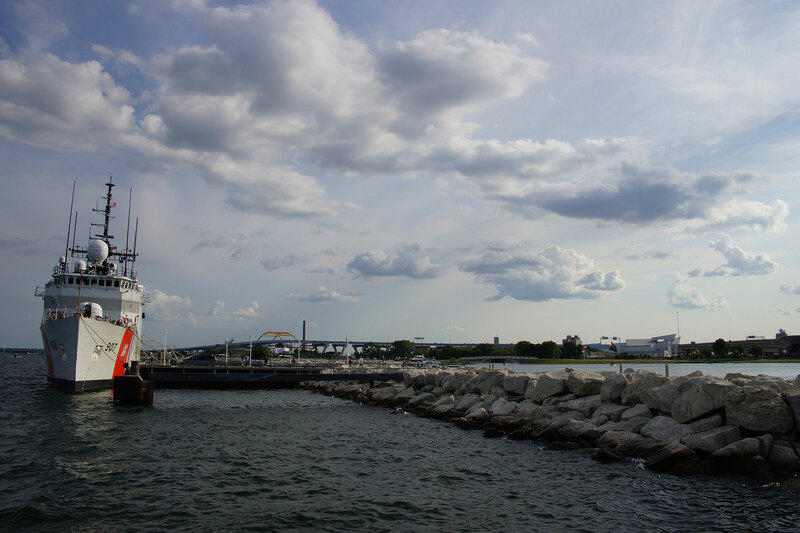 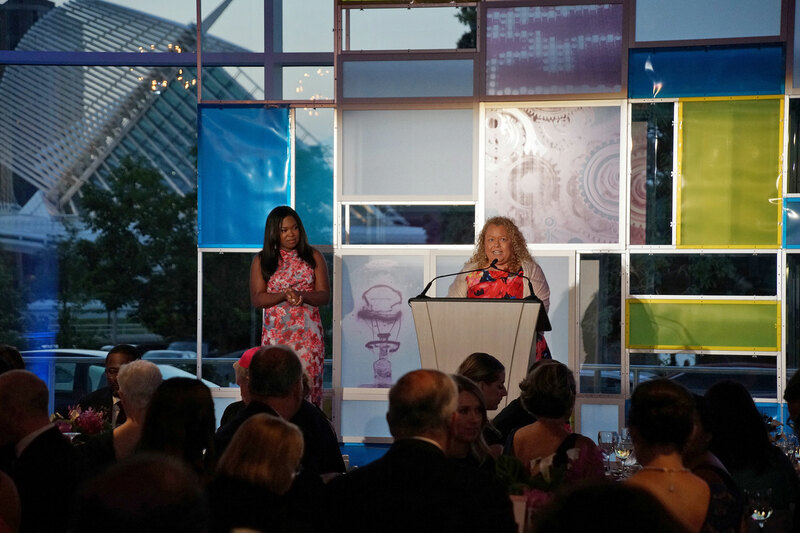 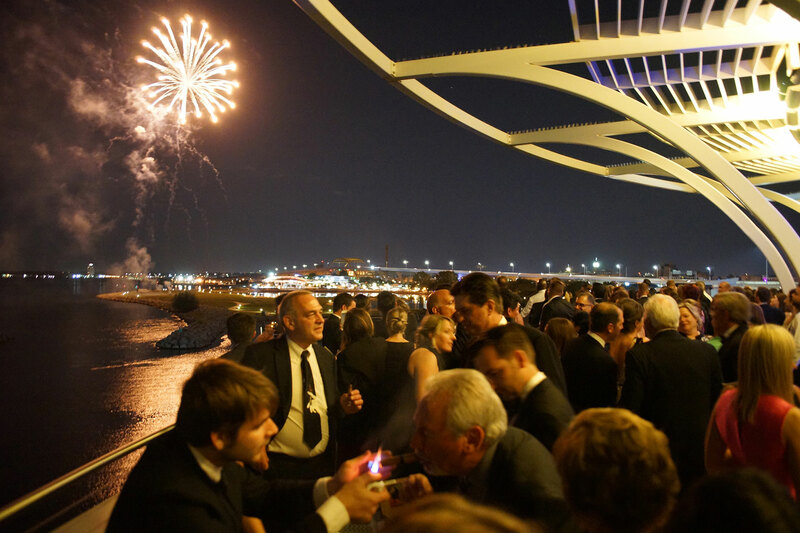 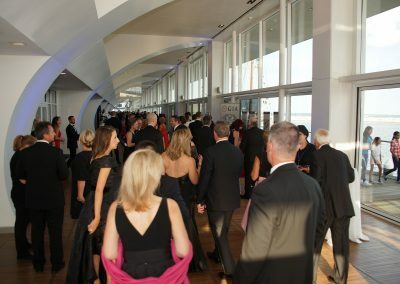 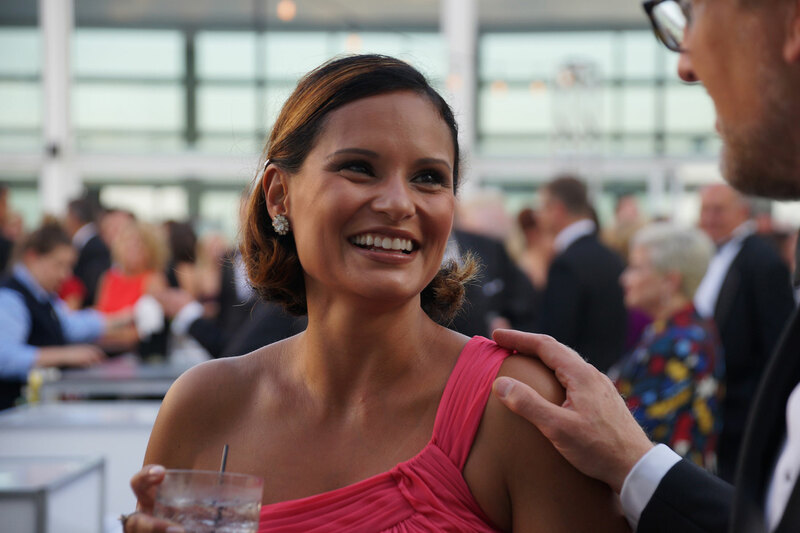 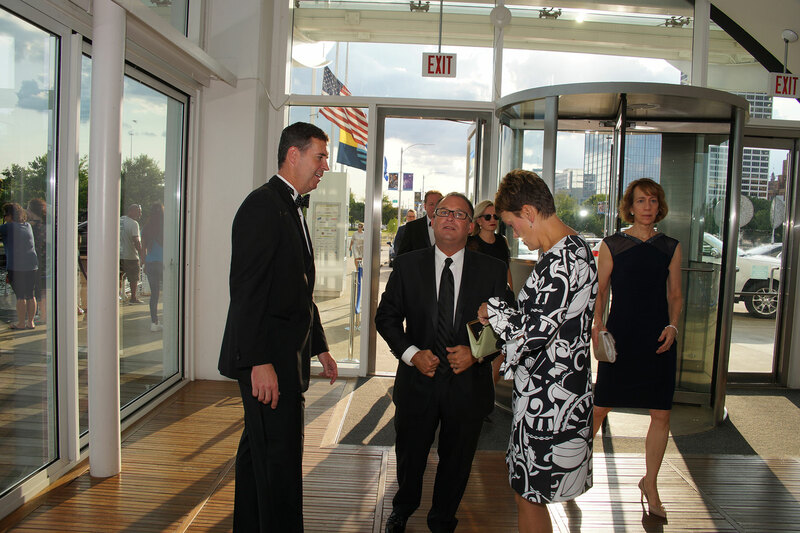 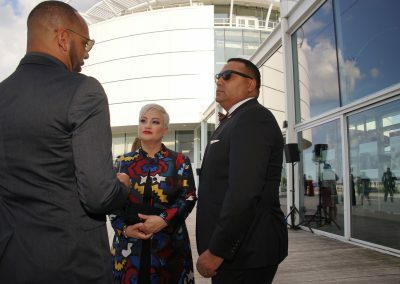 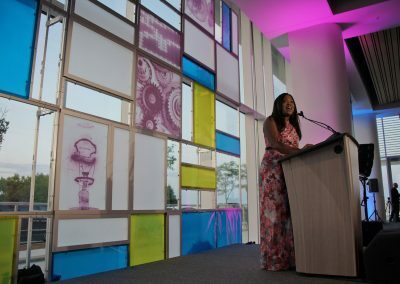 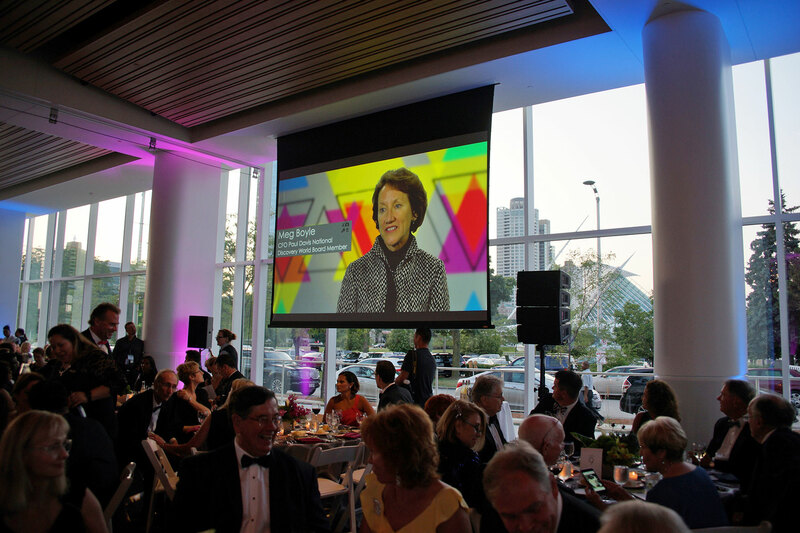 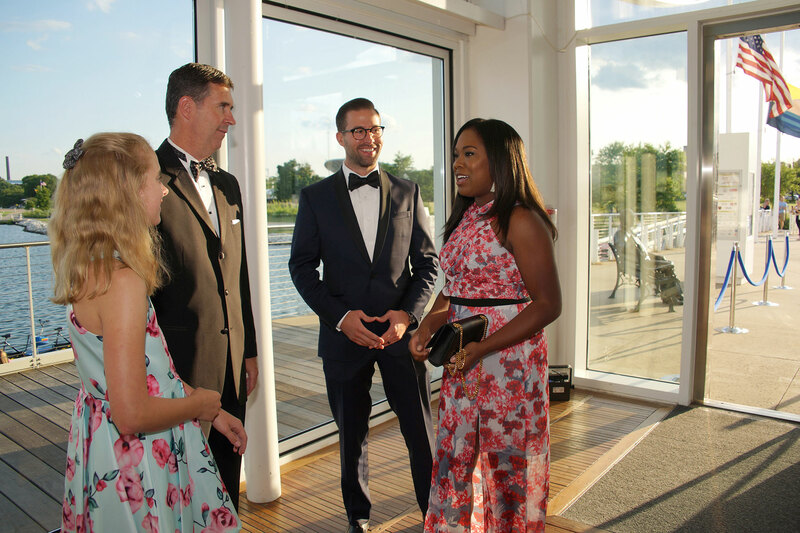 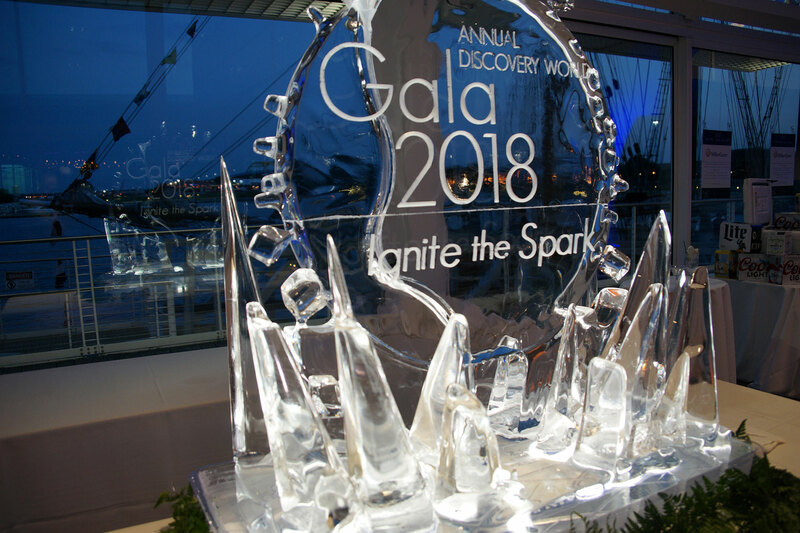 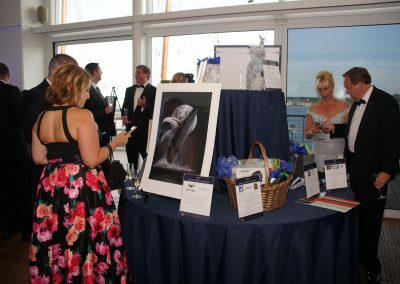 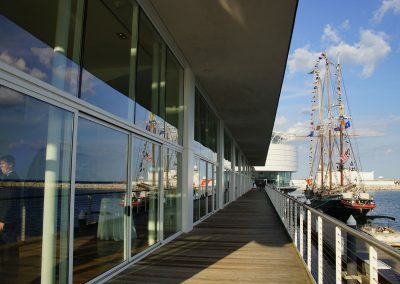 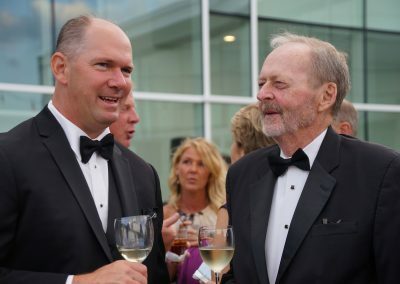 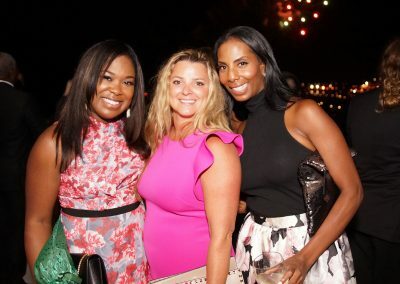 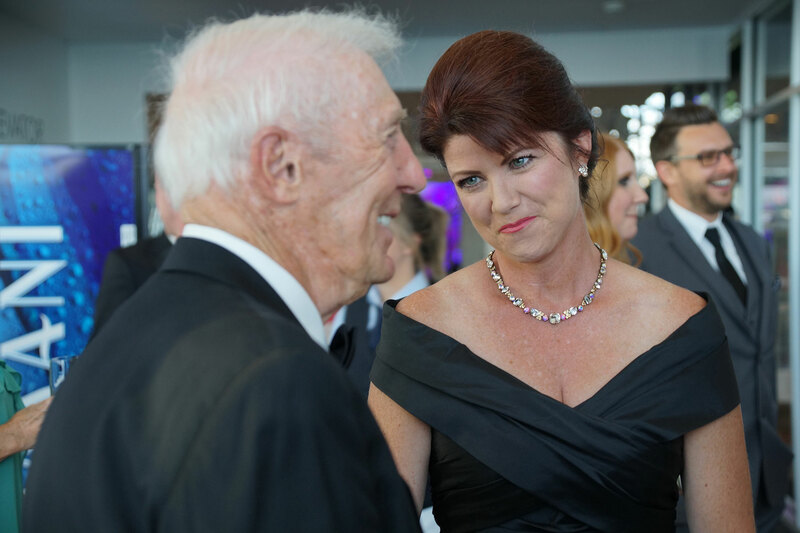 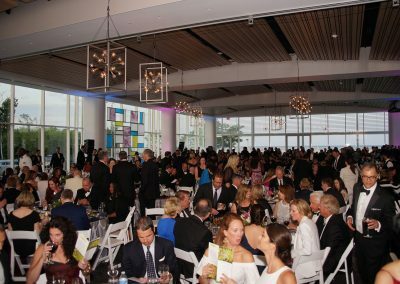 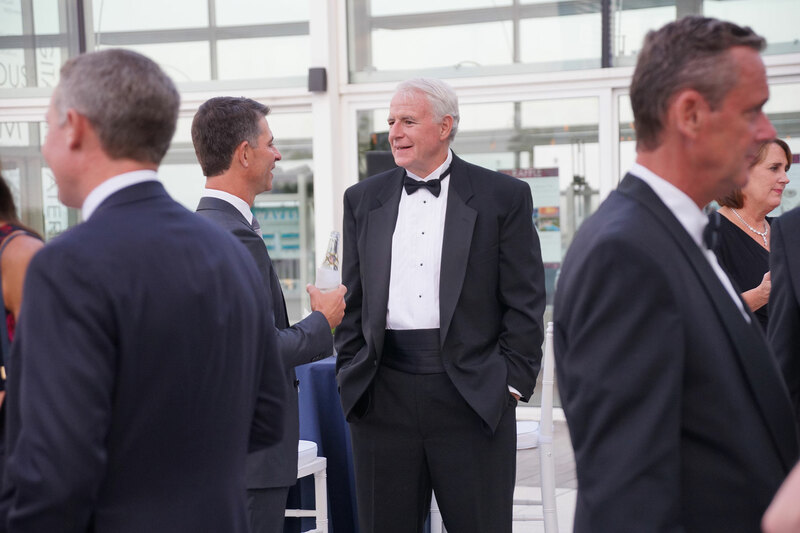 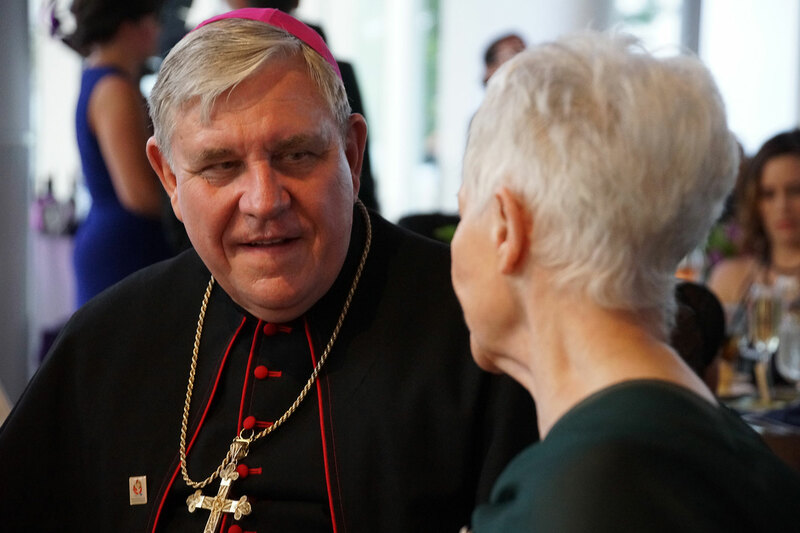 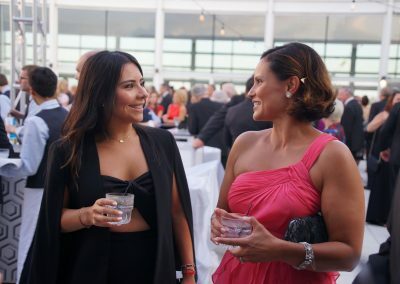 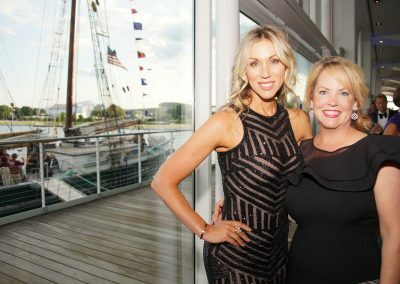 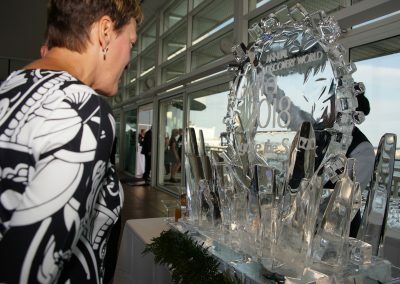 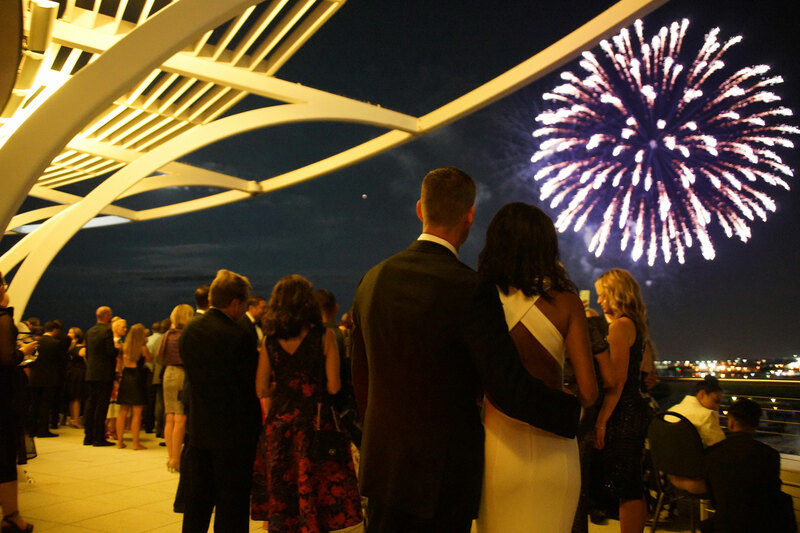 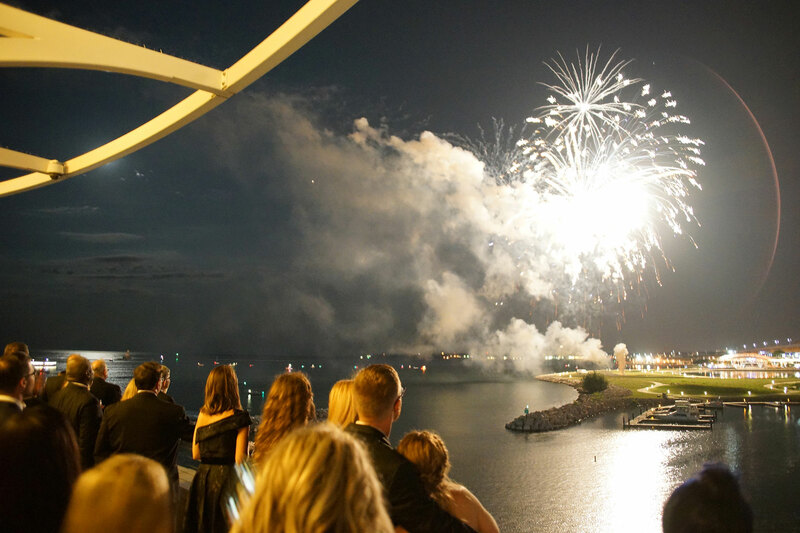 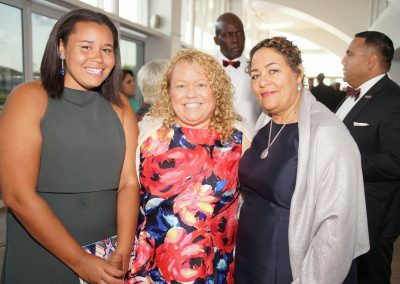 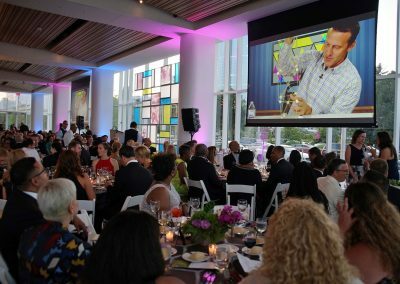 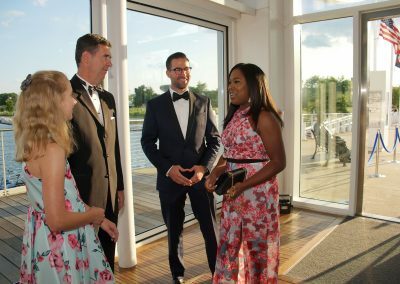 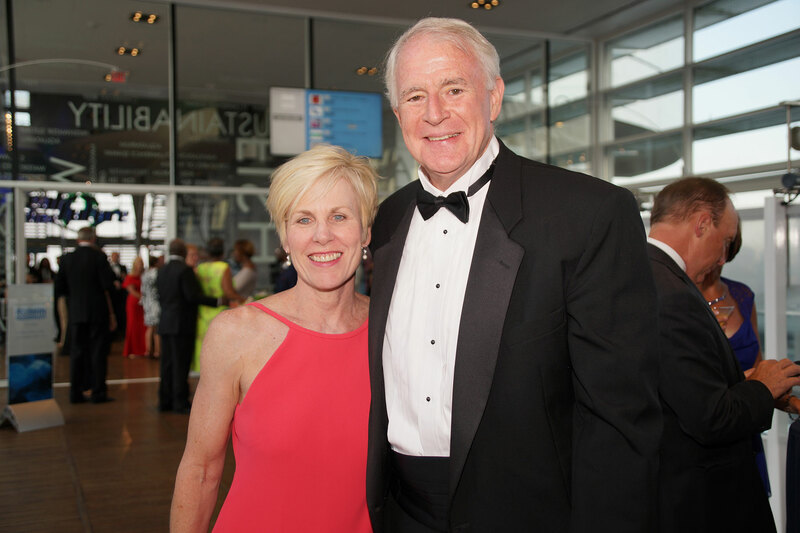 Discovery World celebrated 12 years along the lakefront with its gala fundraising benefit on July 28, in the new pavilion space constructed since last year’s event. 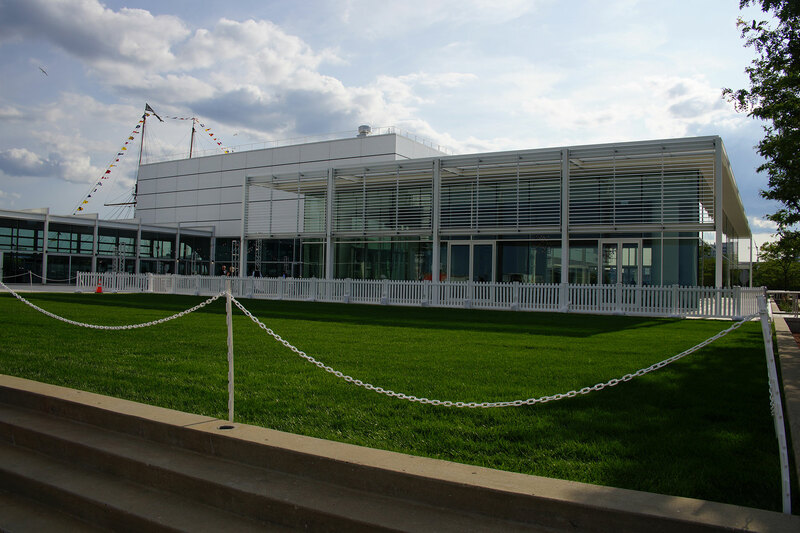 In October 2017 the science and technology museum broke ground on an ambitious $18 million expansion project, establishing a permanent 10,000-square-foot pavilion for educational exhibits and events on the facility’s north lawn. 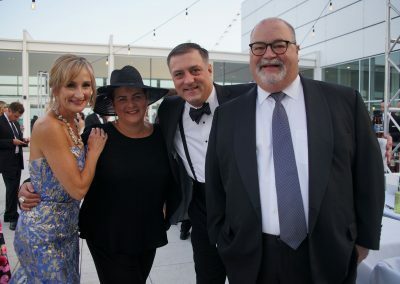 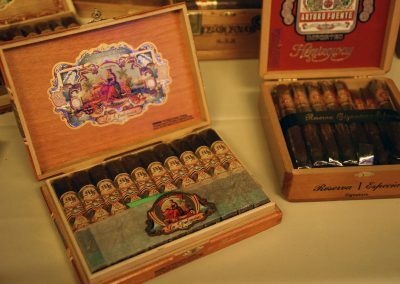 The black-tie charity drive was attended by a VIP crowd of 800 guests for the inaugural dinner provided by Bartolotta Restaurants, which included a silent auction and ended with Germanfest’s fireworks display. 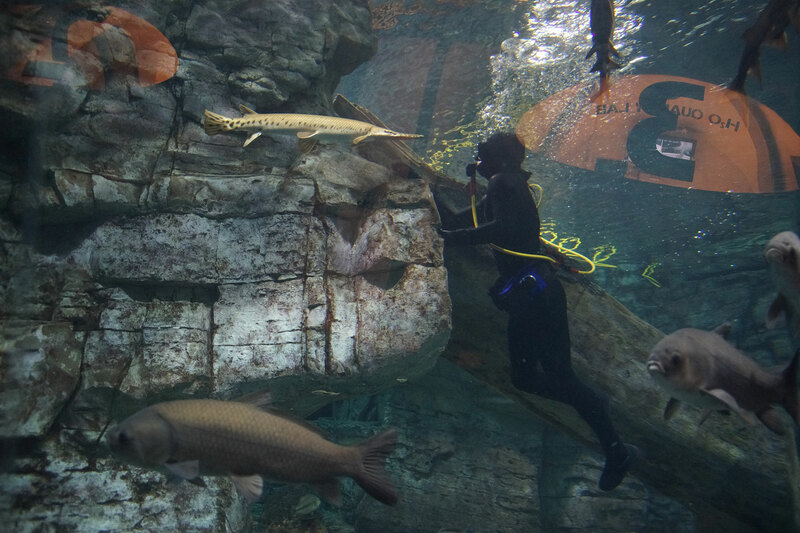 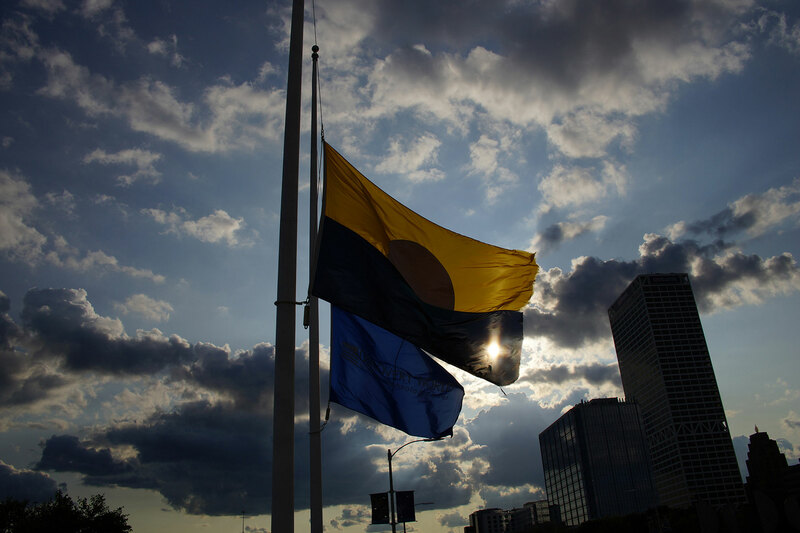 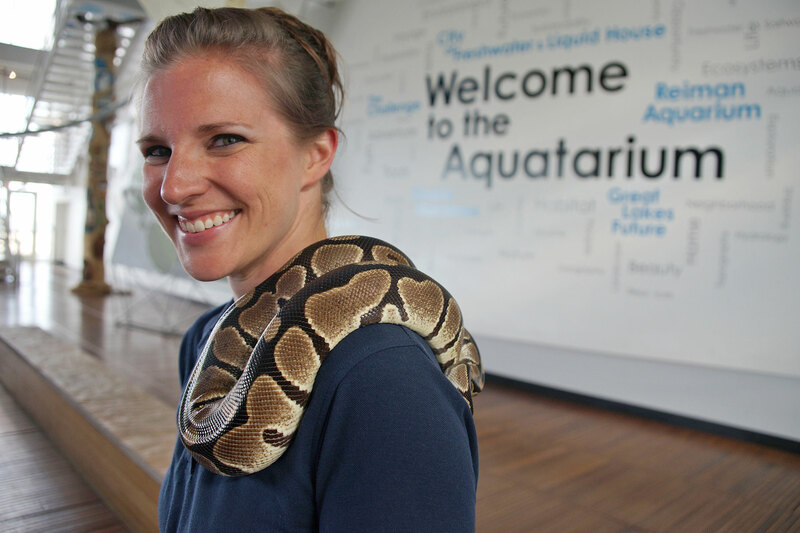 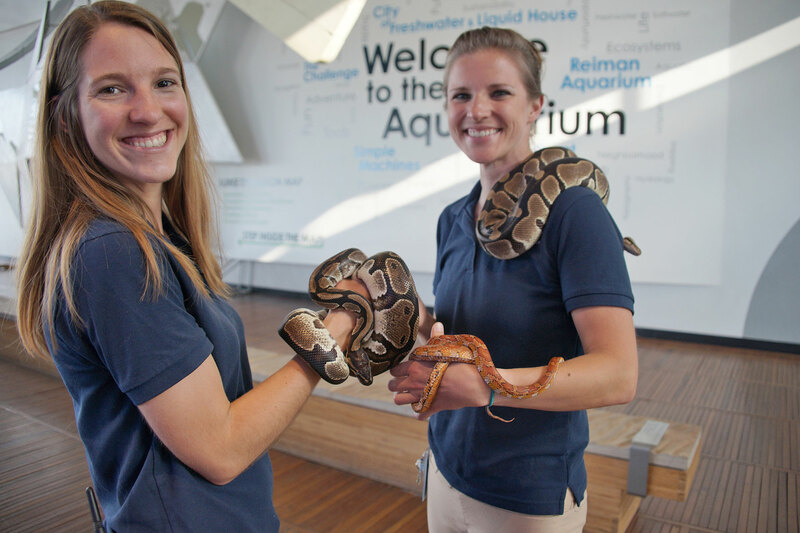 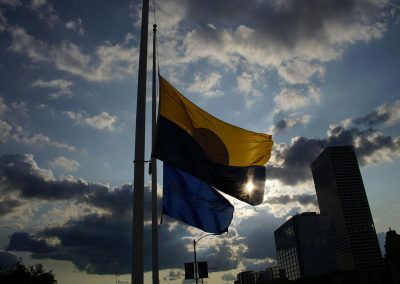 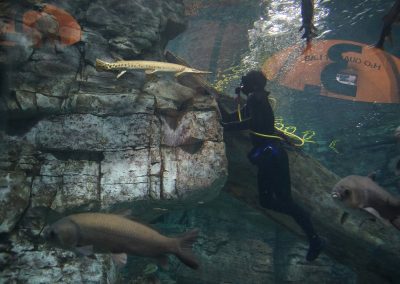 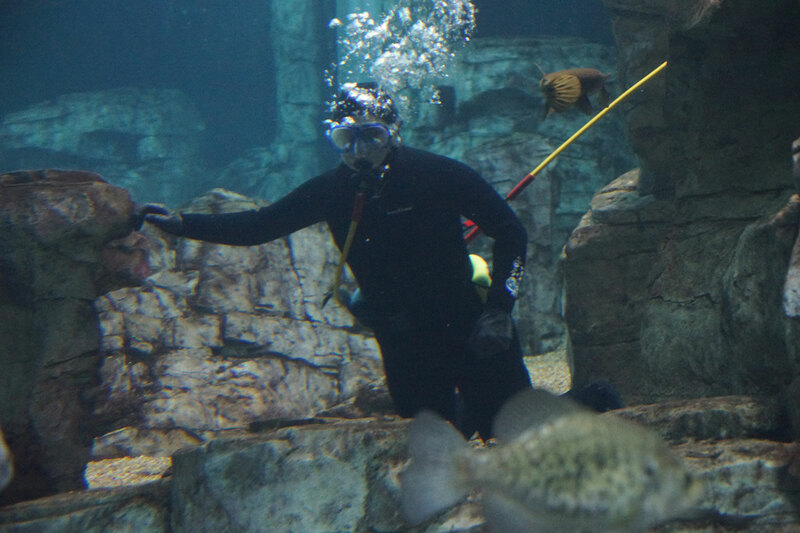 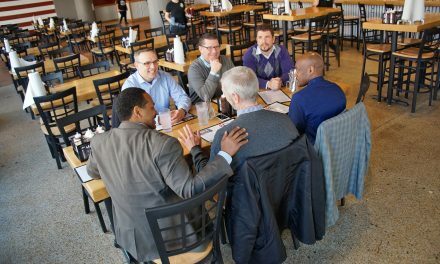 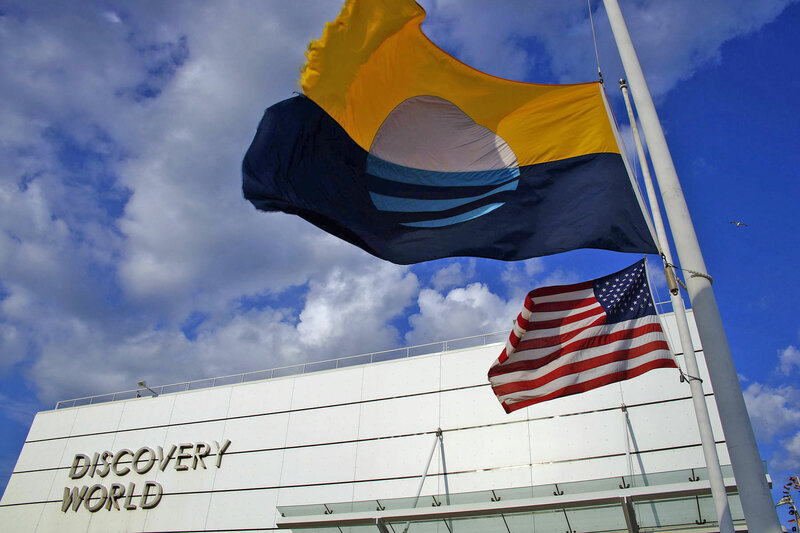 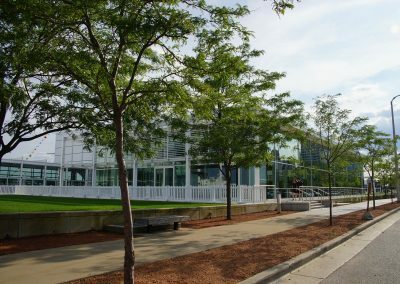 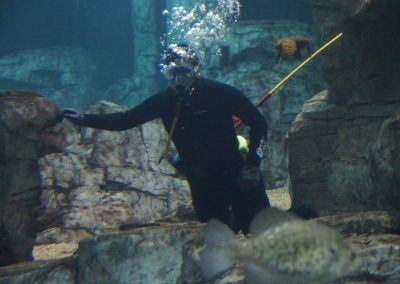 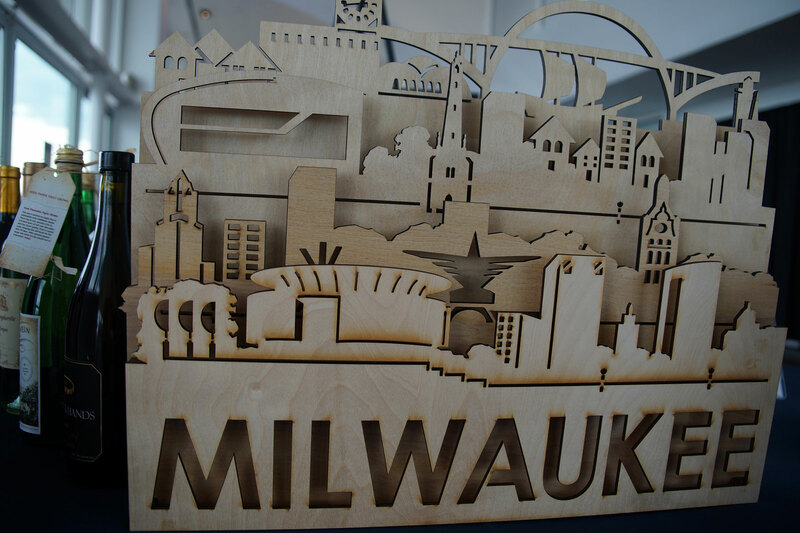 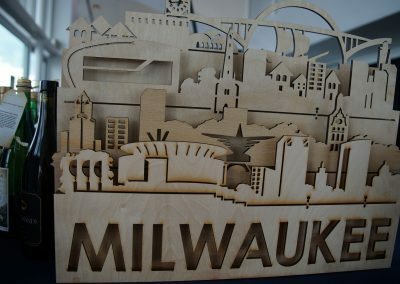 Originally conceived as a center for science, economics, and technology by a group of business leaders and academic professionals in 1983, Discovery World started in the basement of a Boys & Girls Club located on Milwaukee’s East Side just off Brady Street. 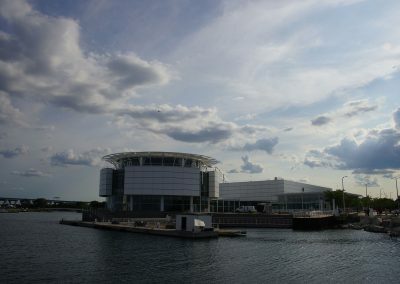 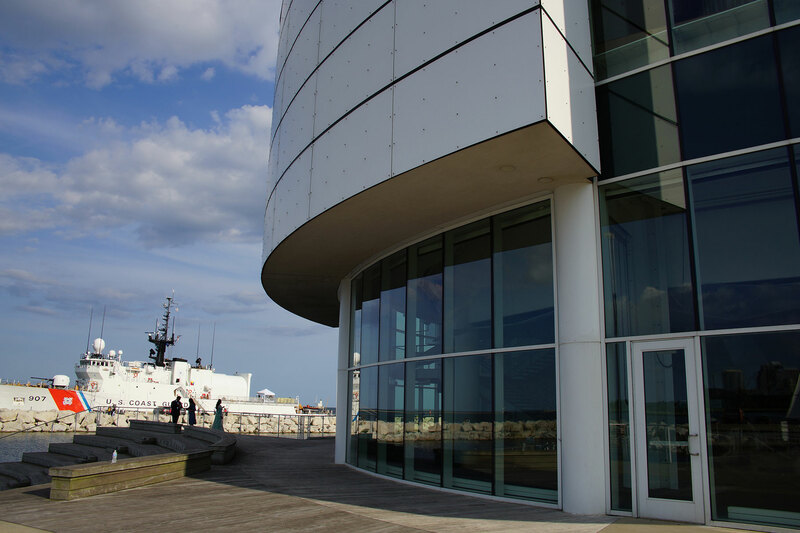 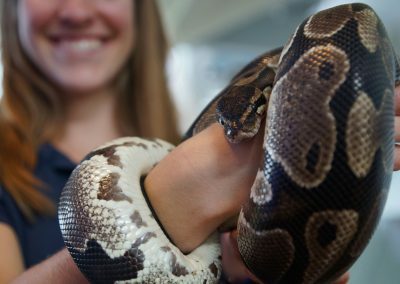 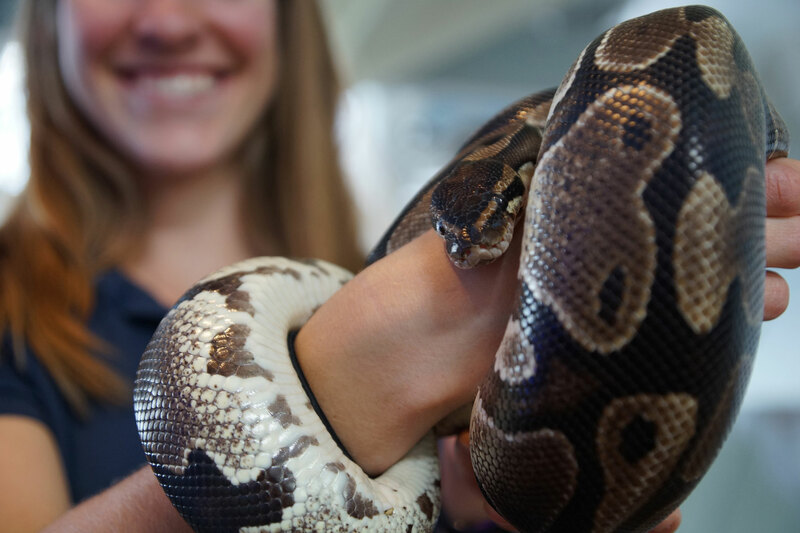 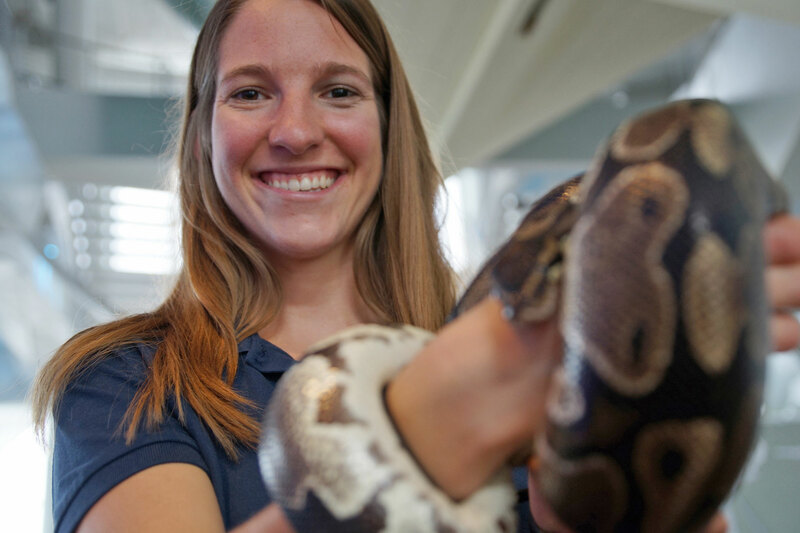 Discovery World is where local children can take their first steps on a path toward STEM (Science, Technology, Engineering and Math) careers and brighter futures. 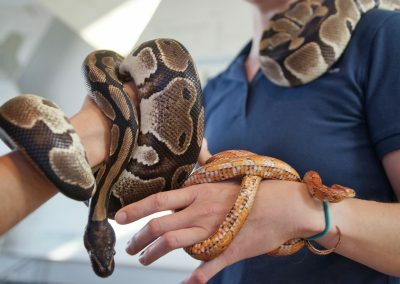 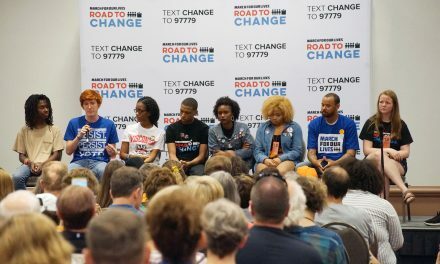 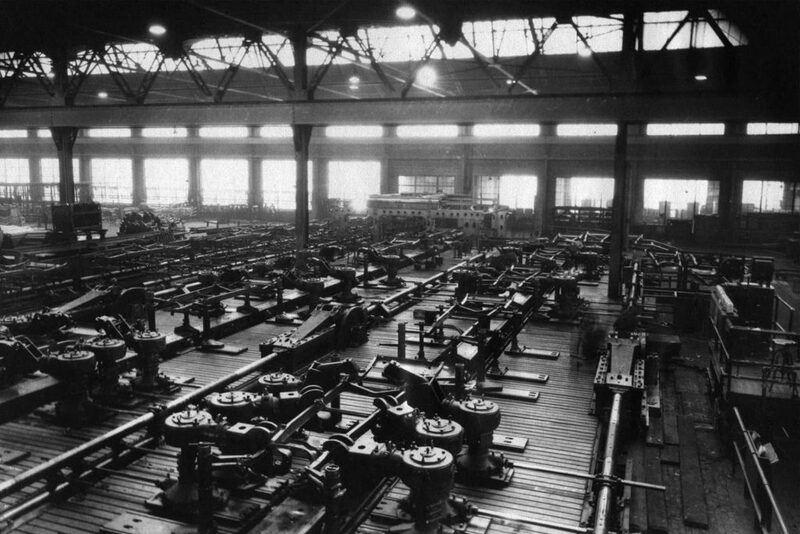 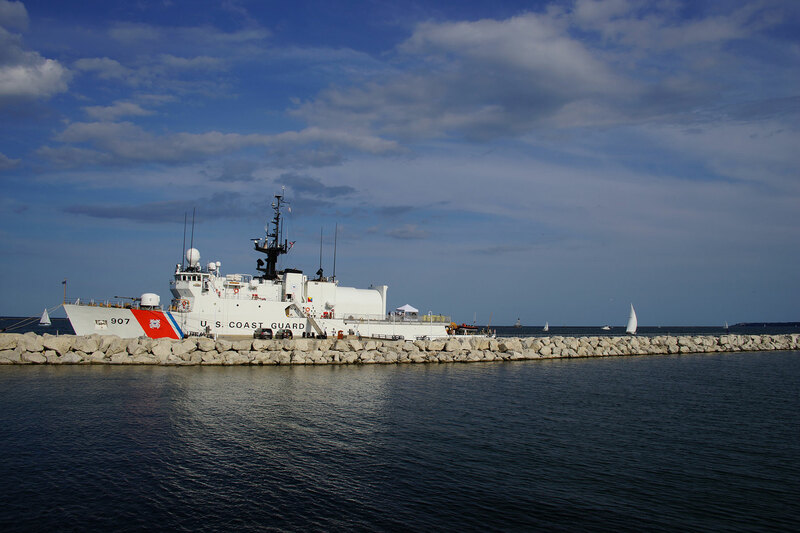 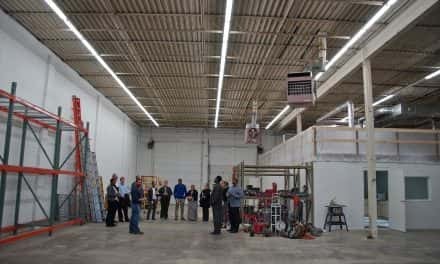 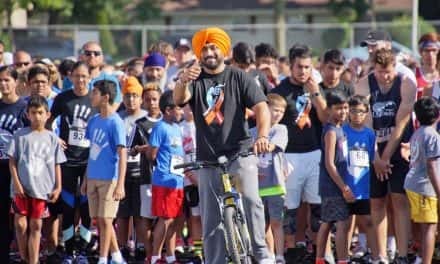 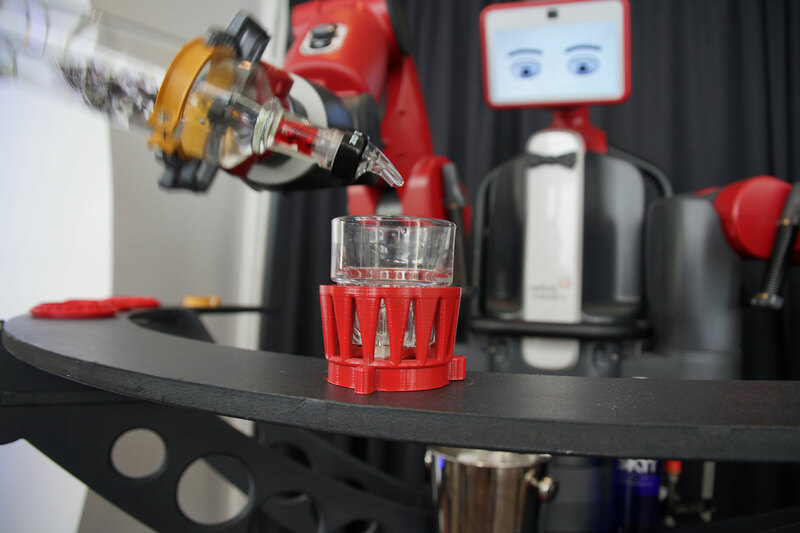 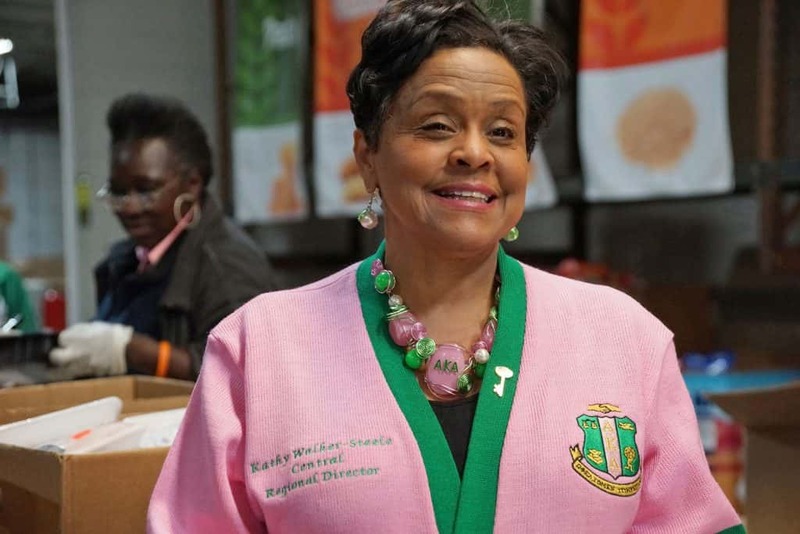 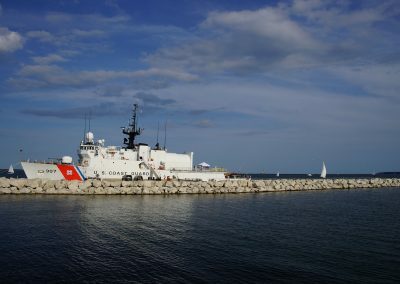 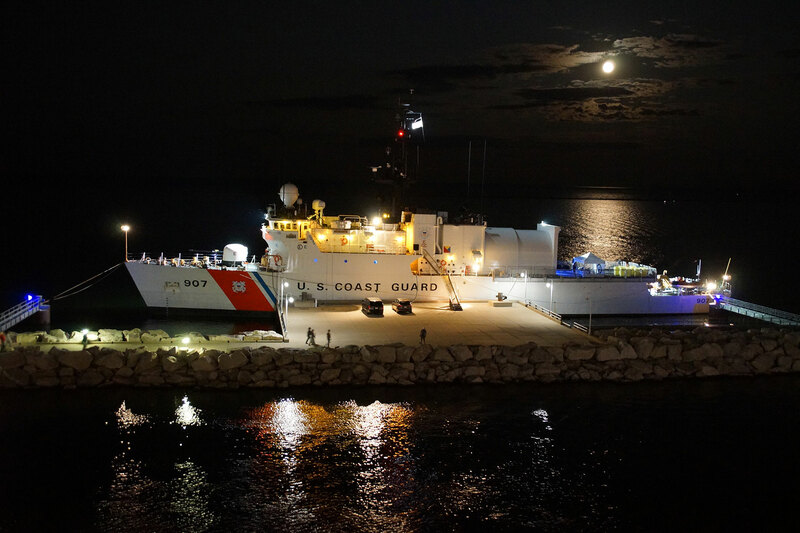 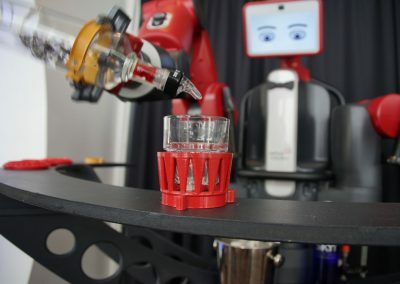 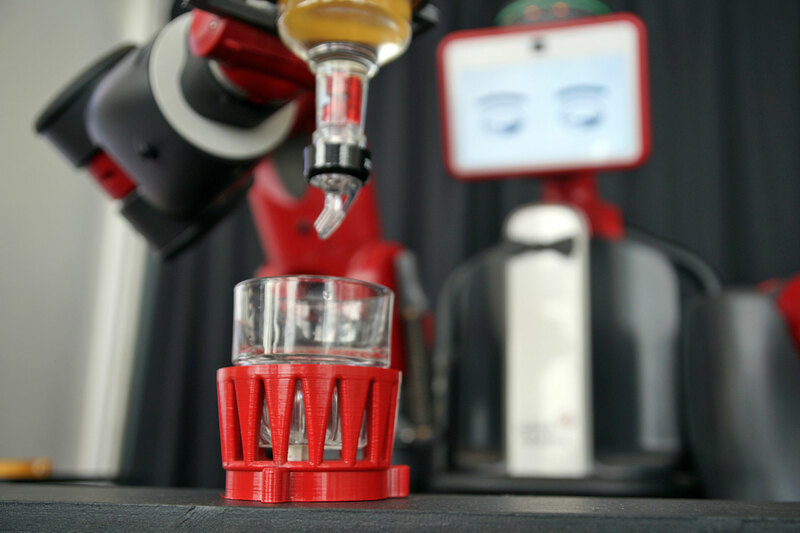 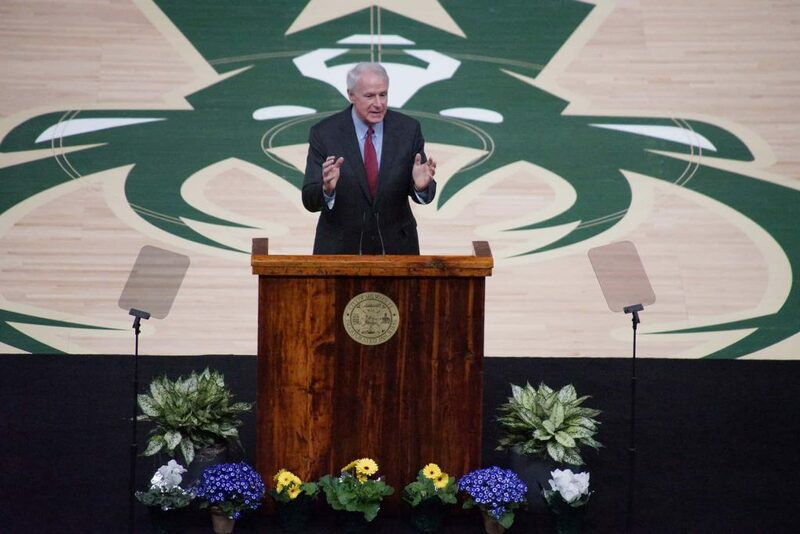 The facility operates without any public funds for financial assistance, and depends on donations and fundraising to provide programs that augment the local educational system.